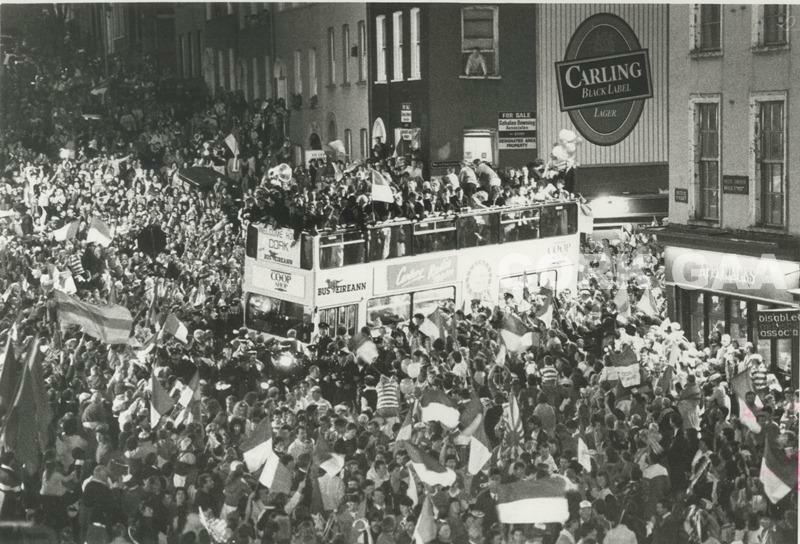 Pic: Evening Echo. 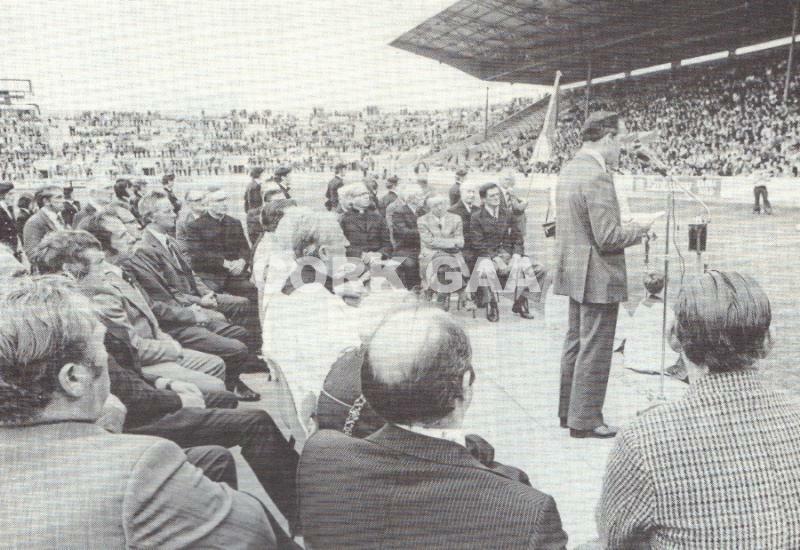 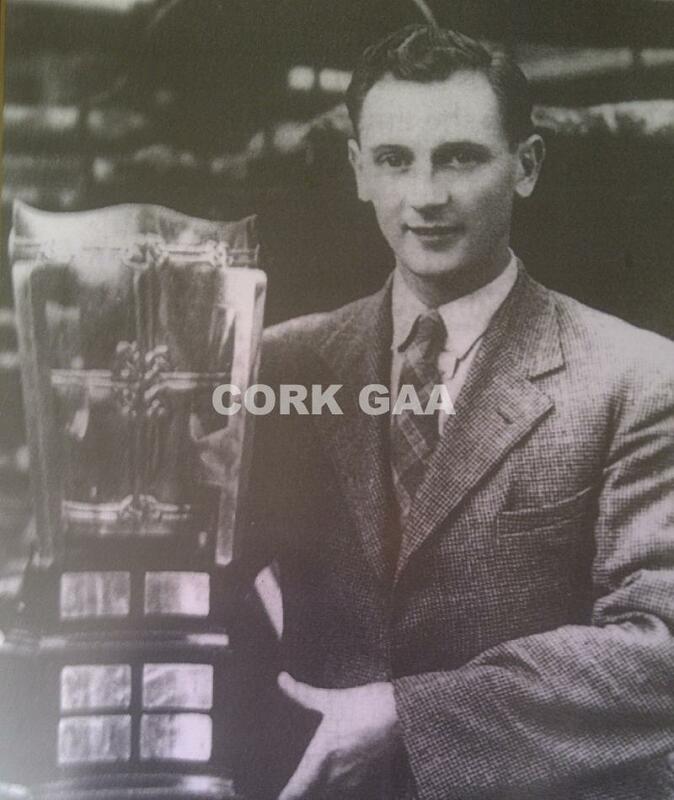 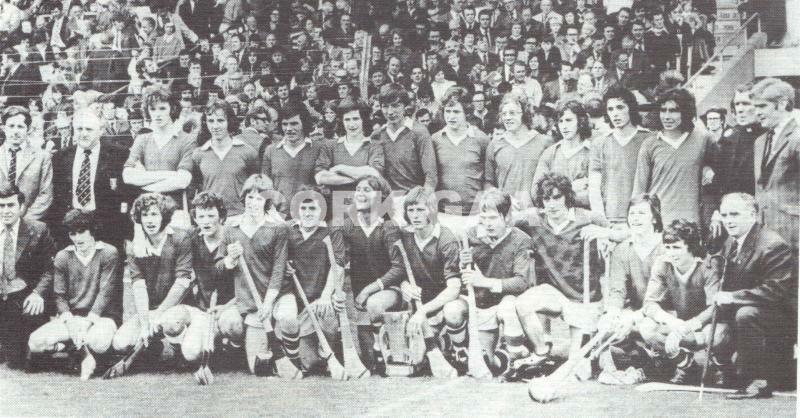 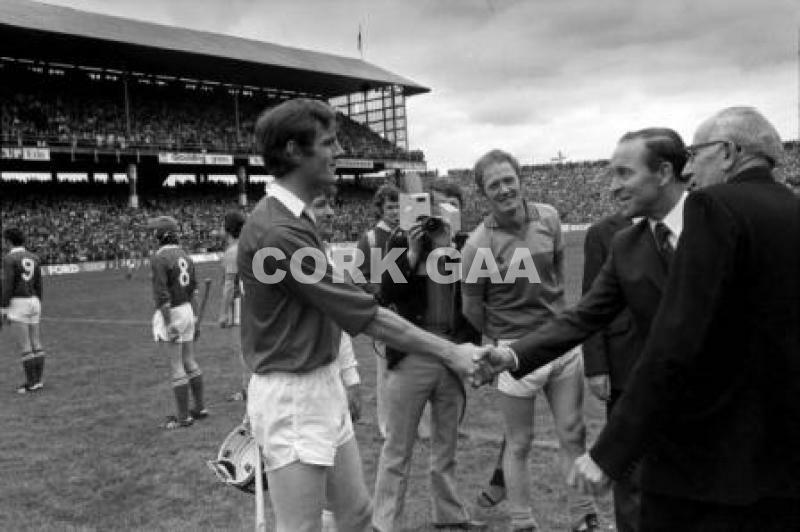 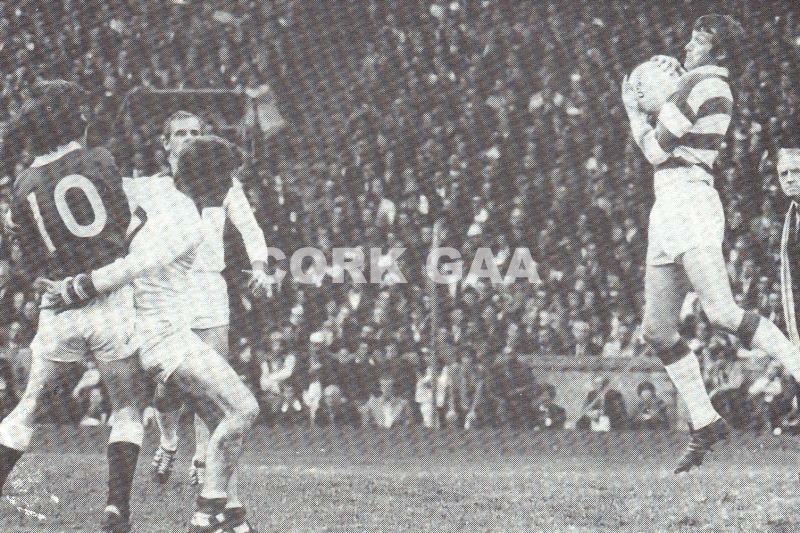 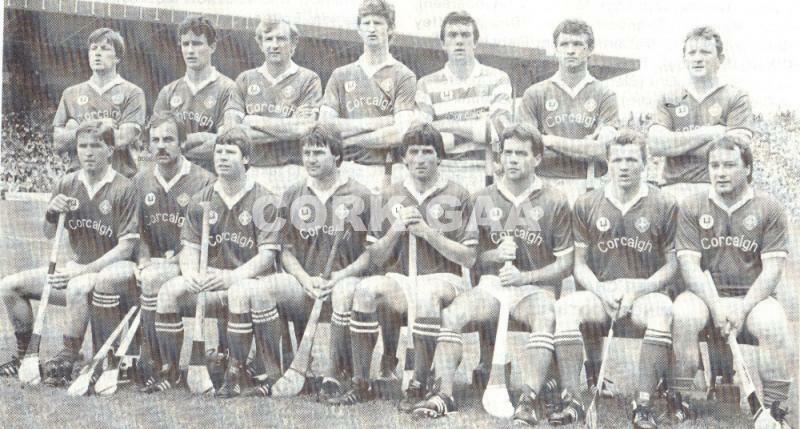 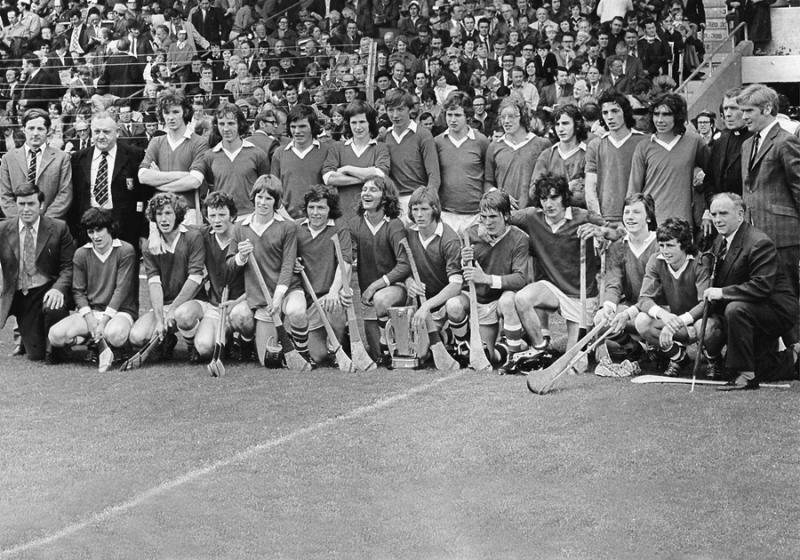 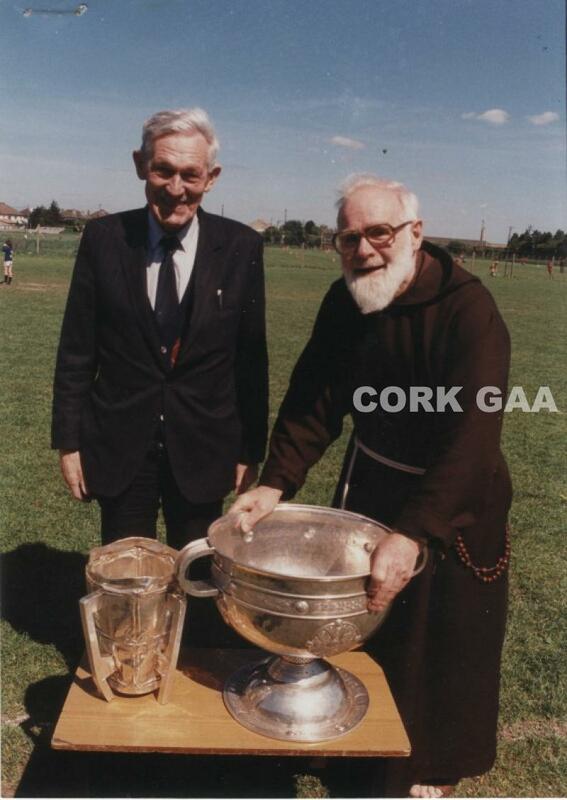 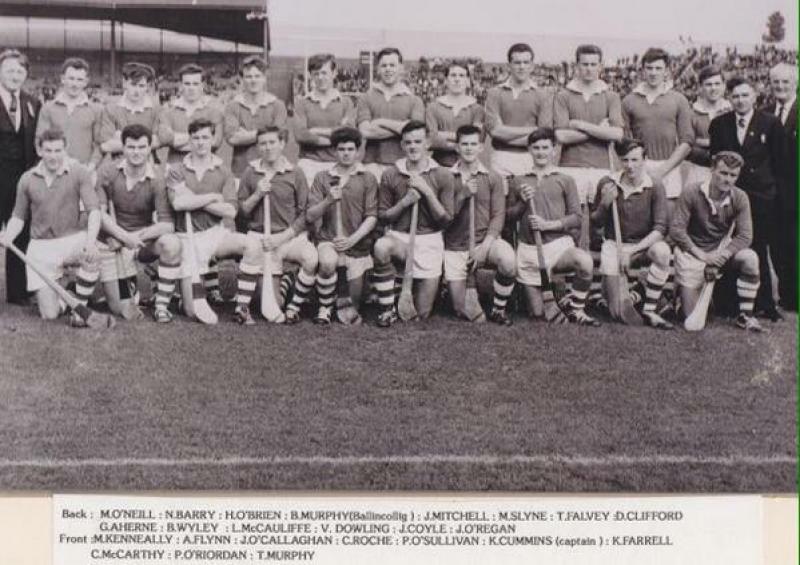 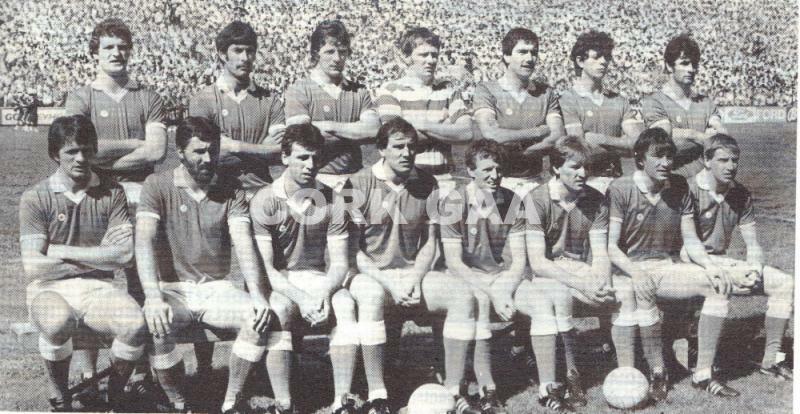 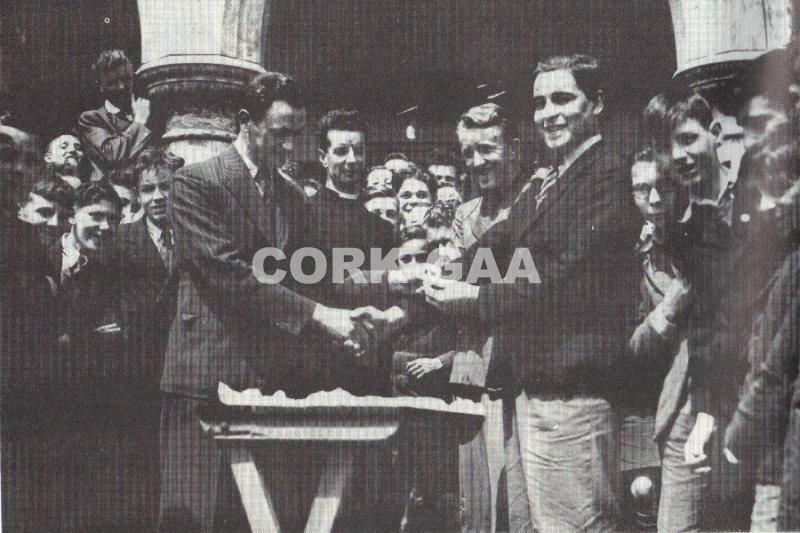 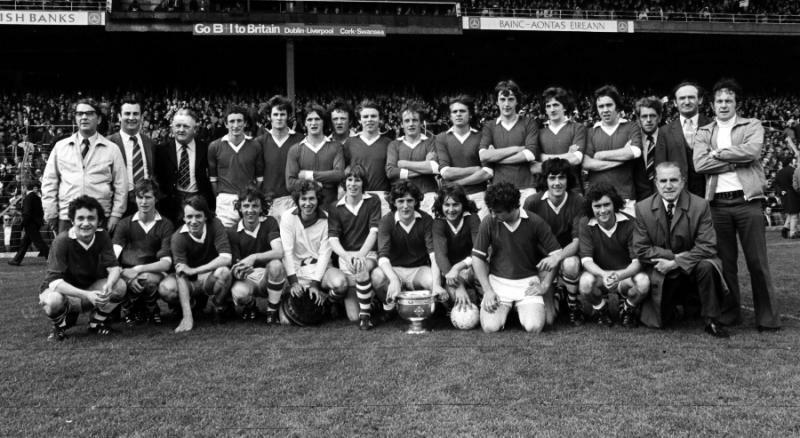 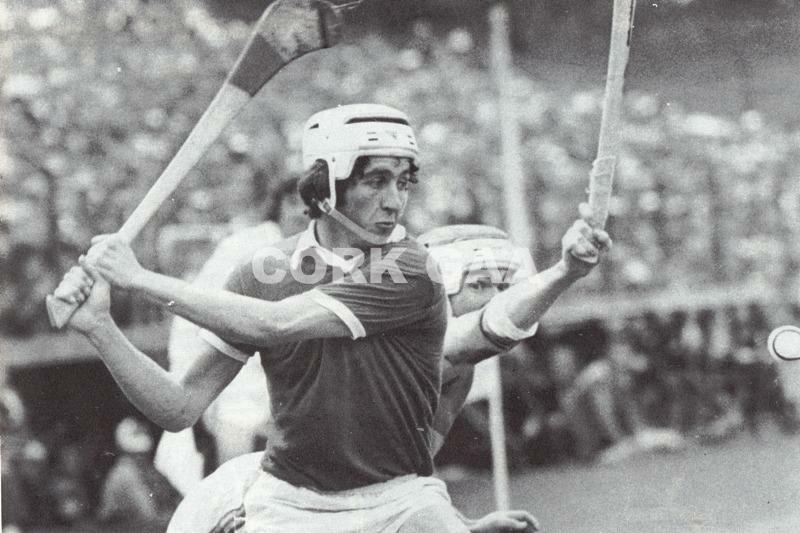 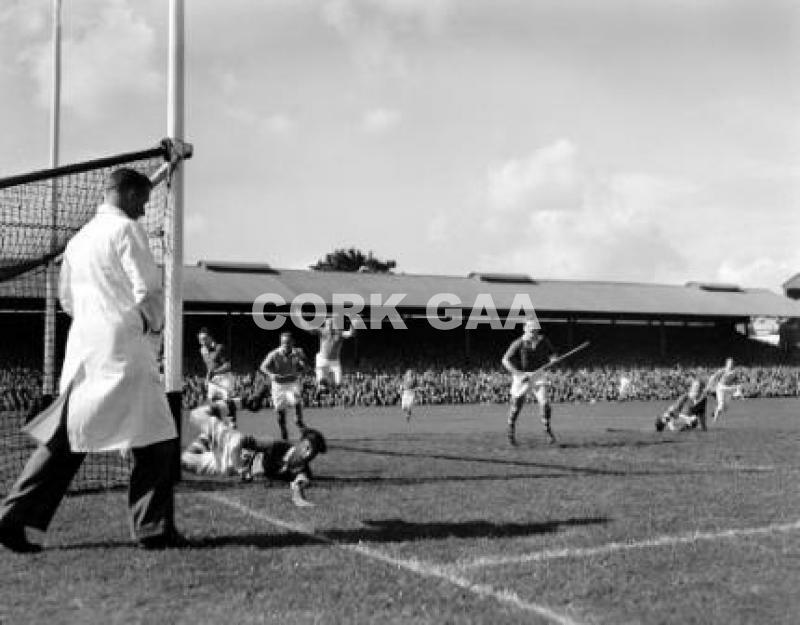 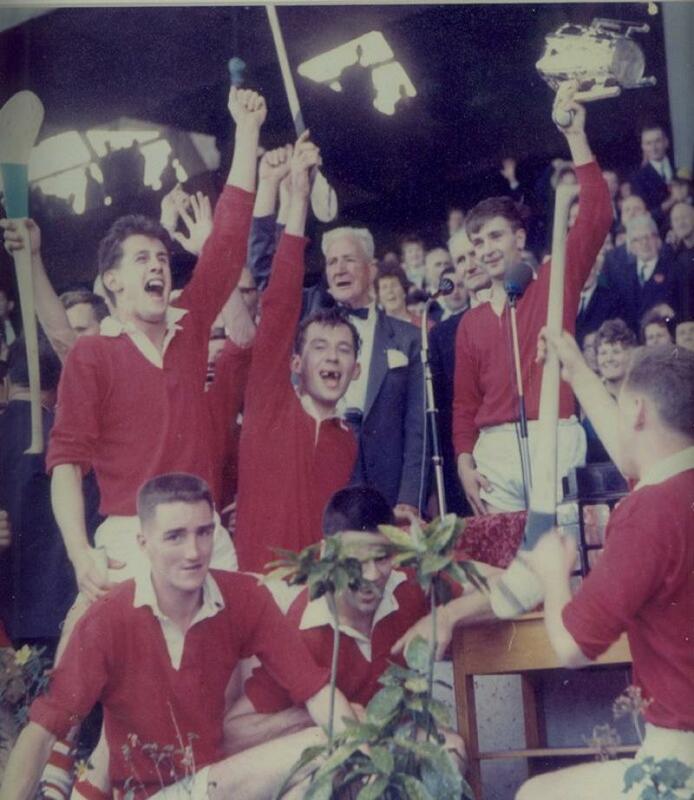 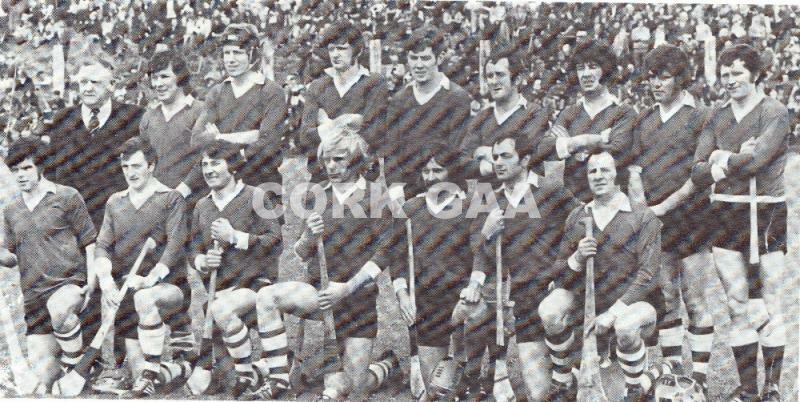 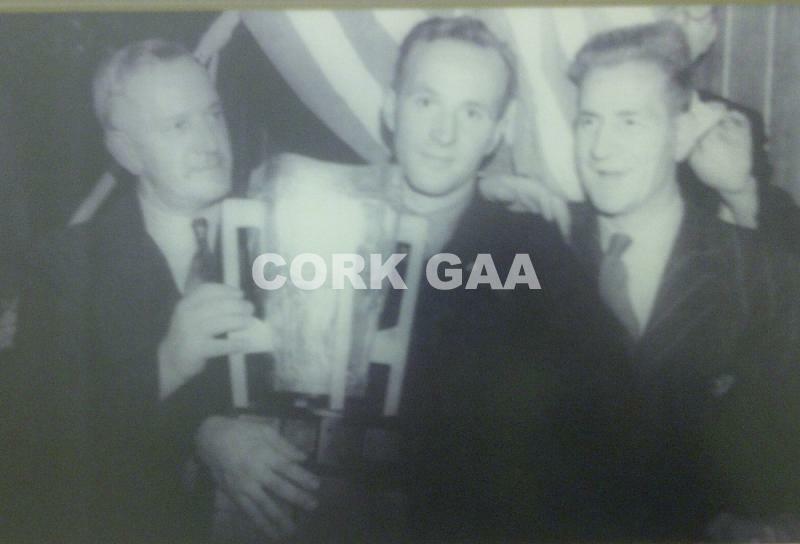 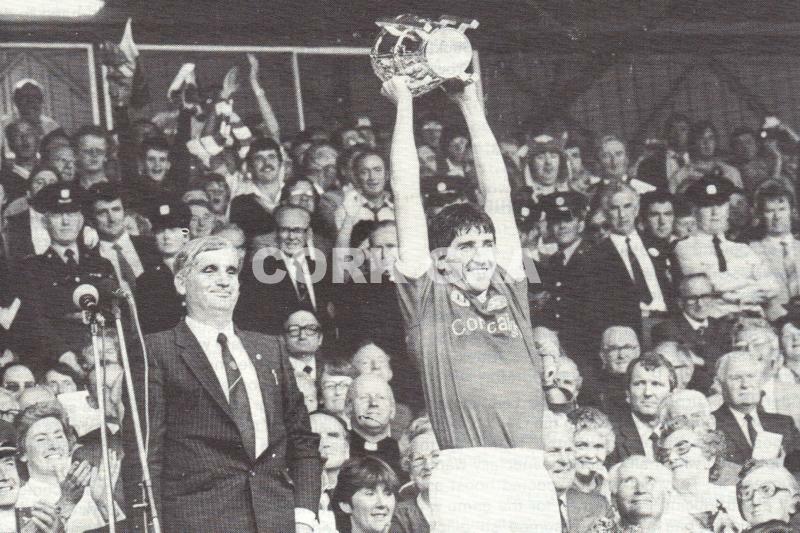 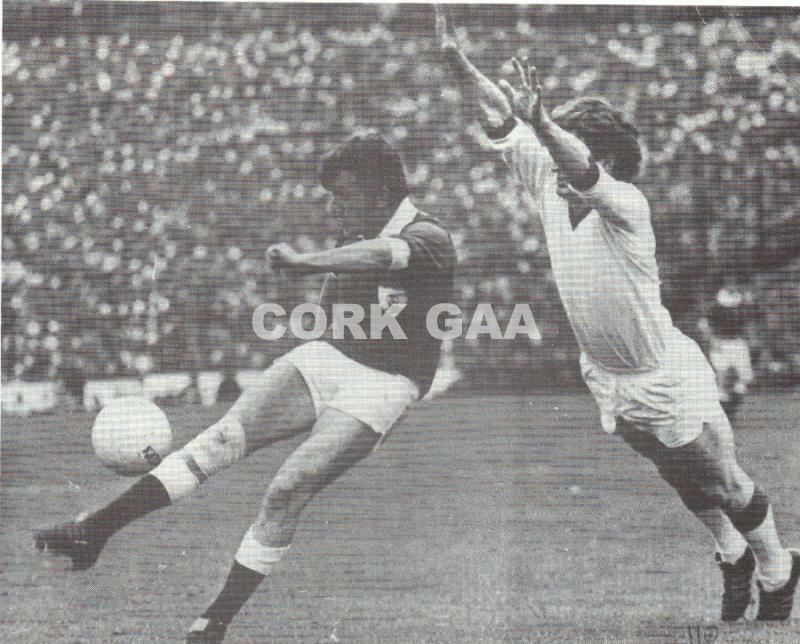 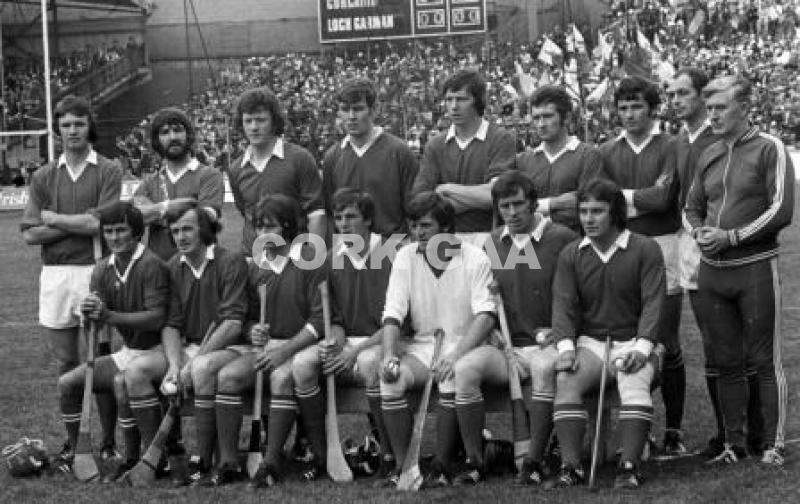 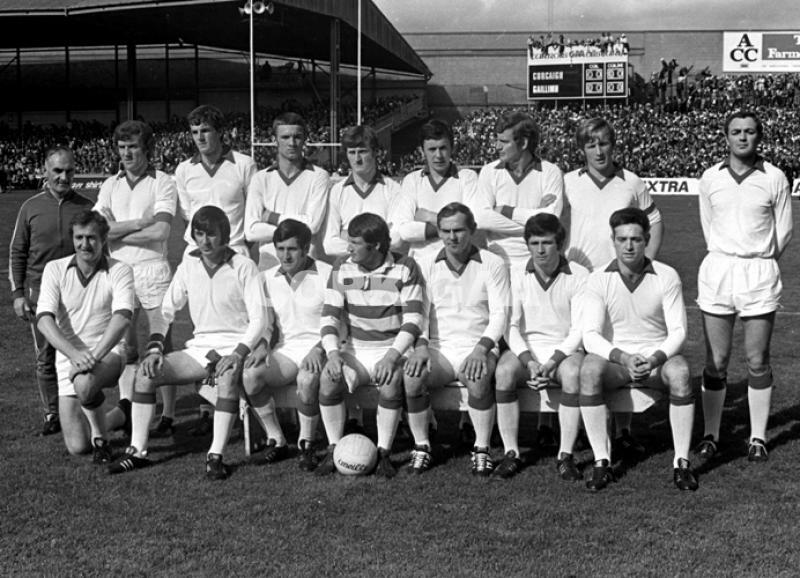 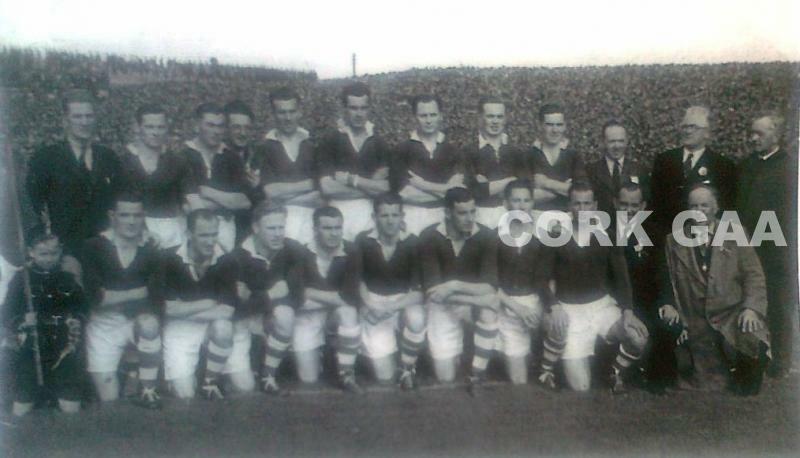 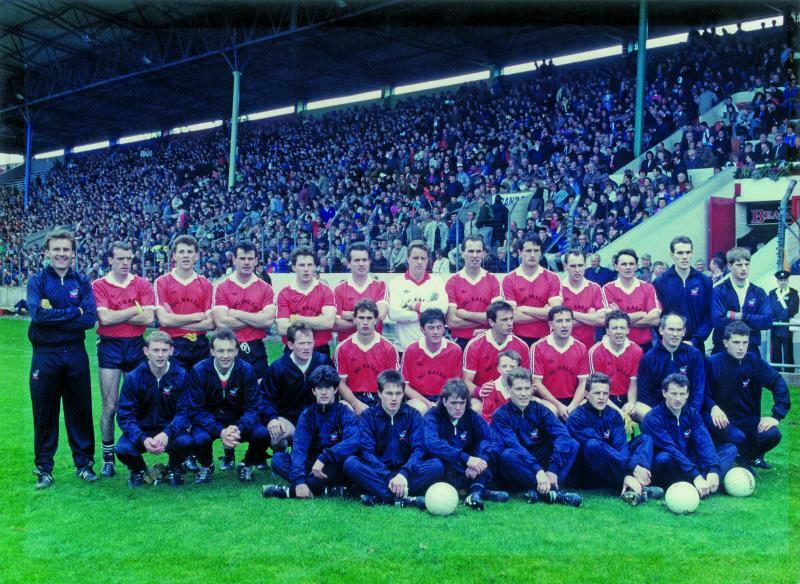 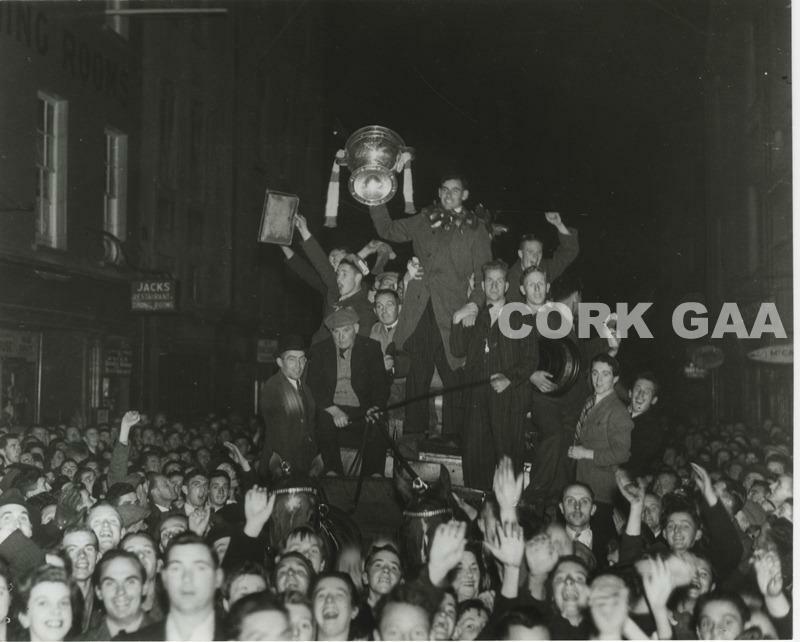 Cork won the double in 1974. 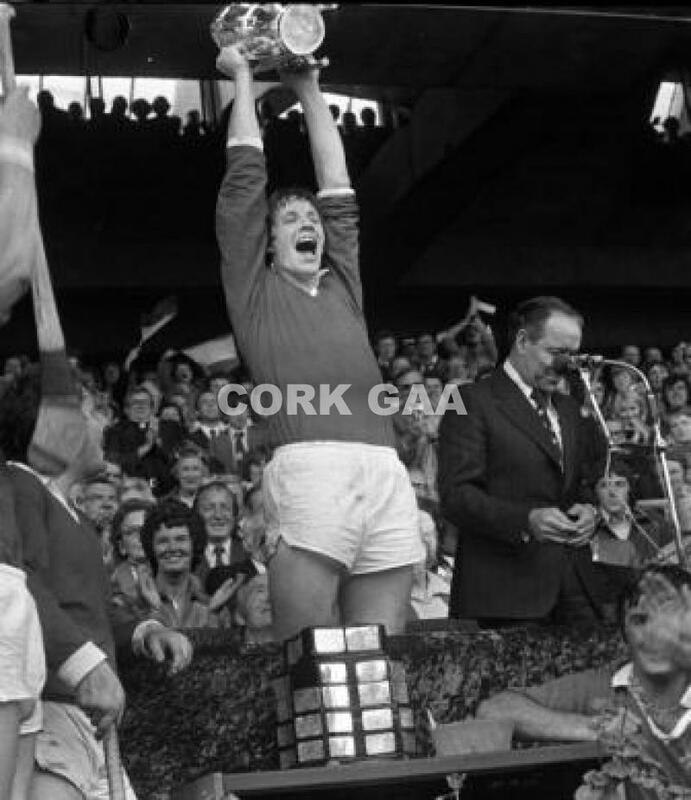 County Champions! 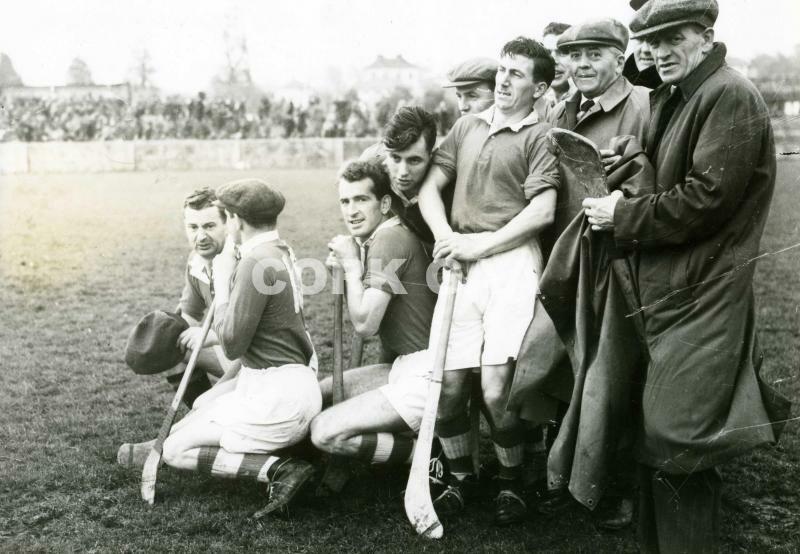 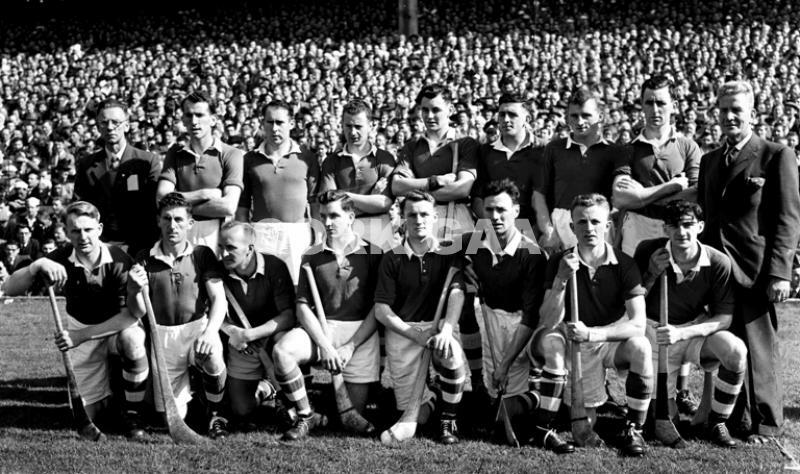 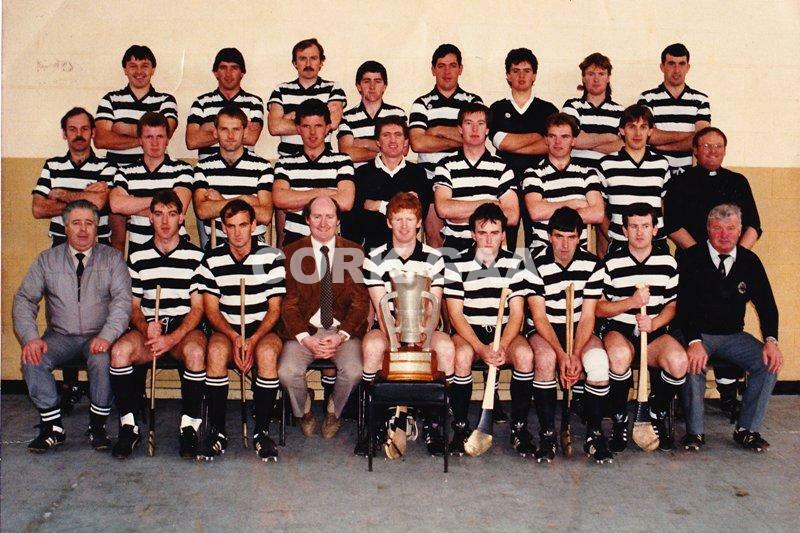 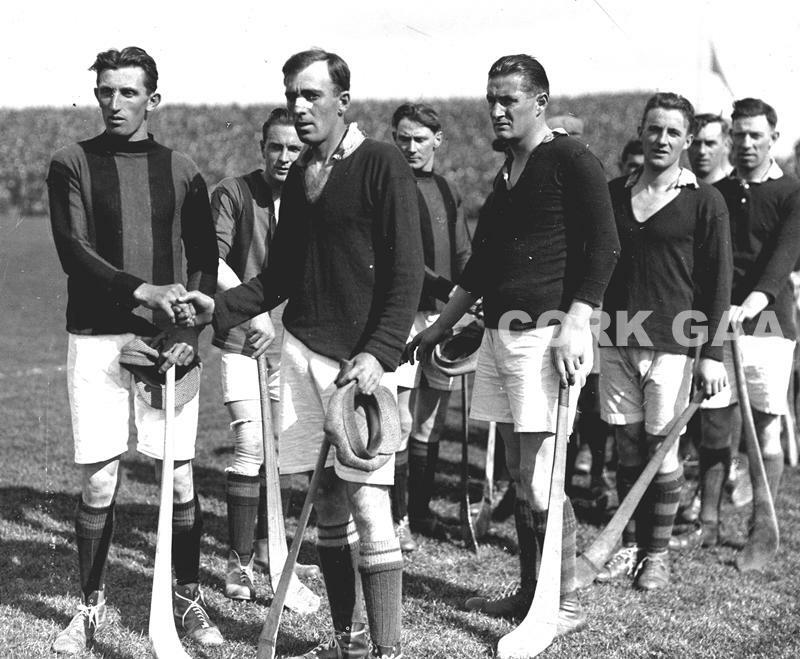 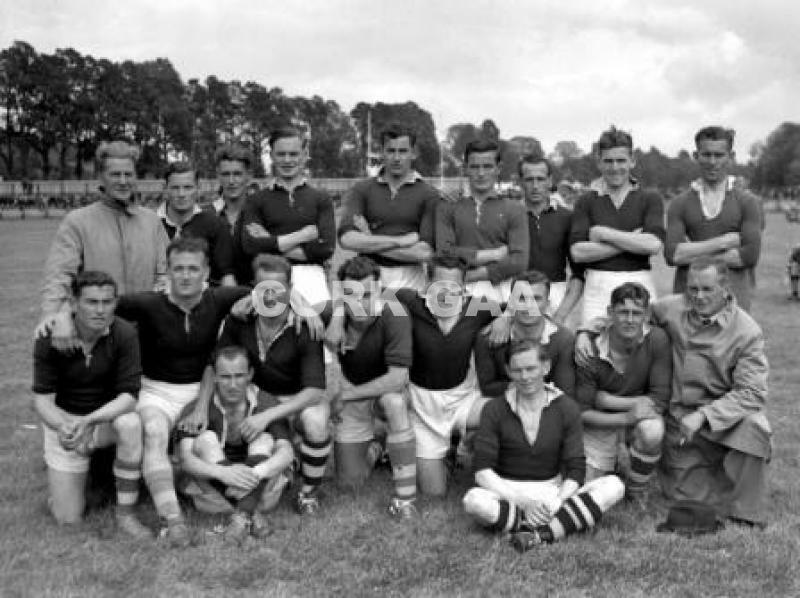 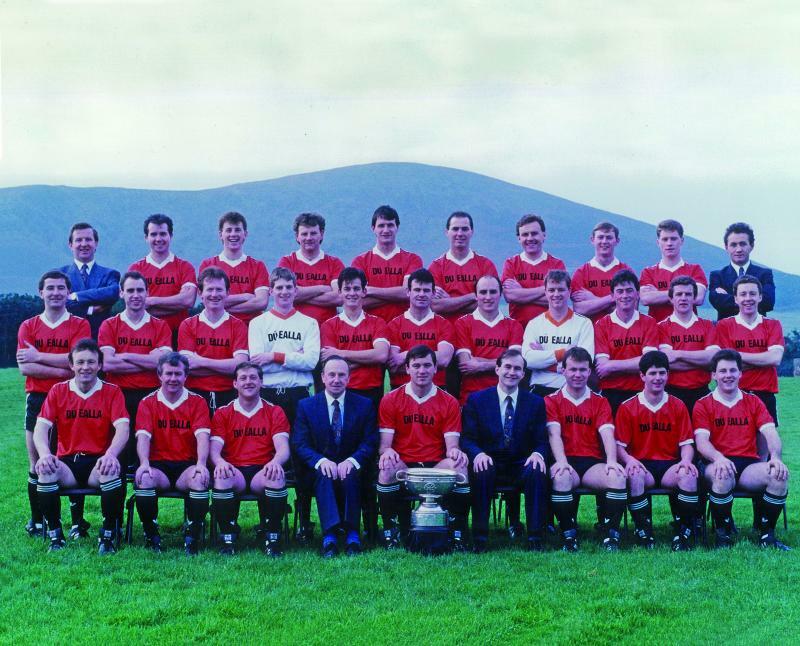 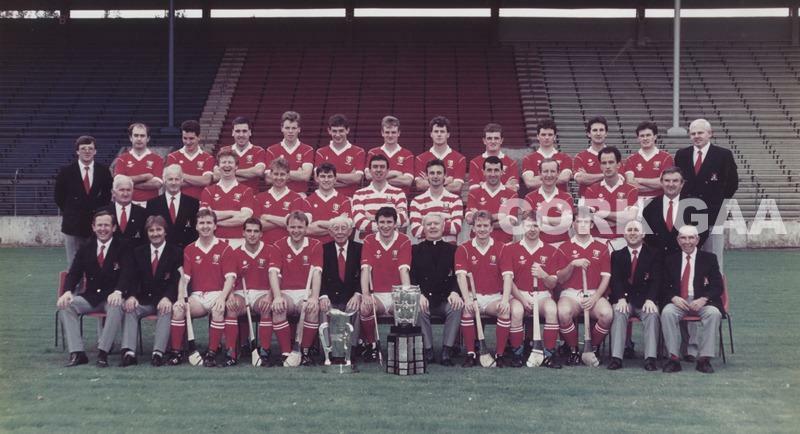 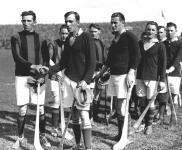 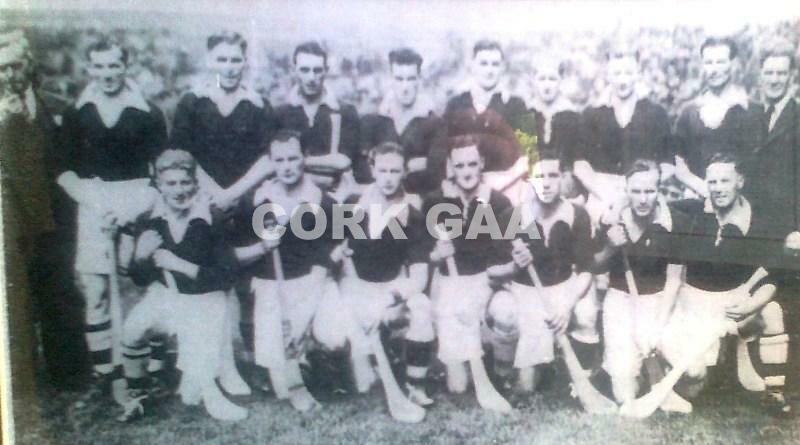 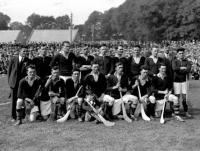 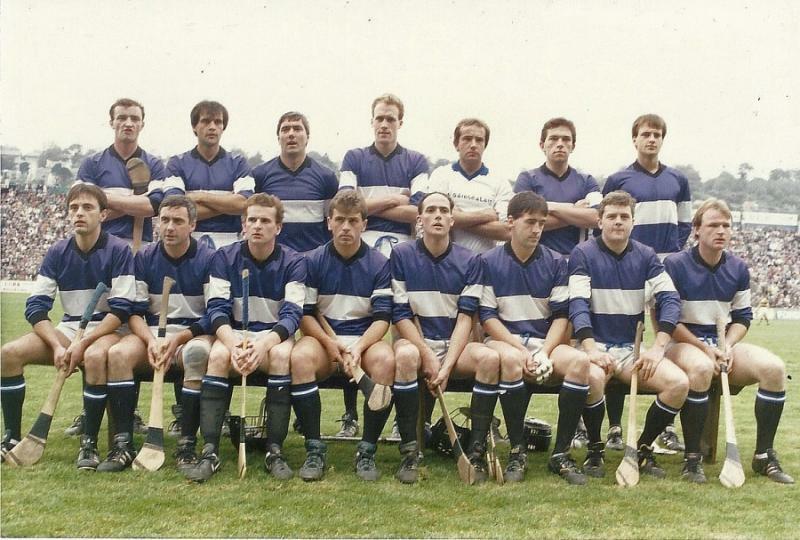 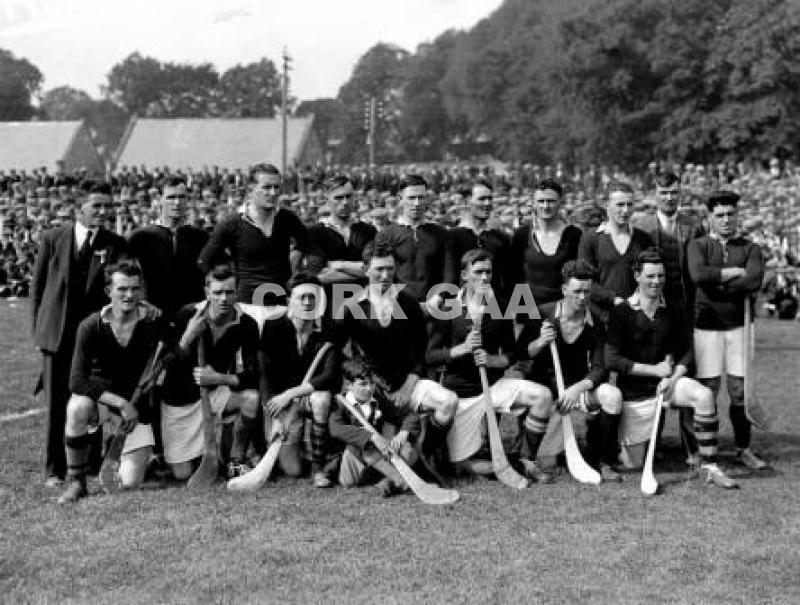 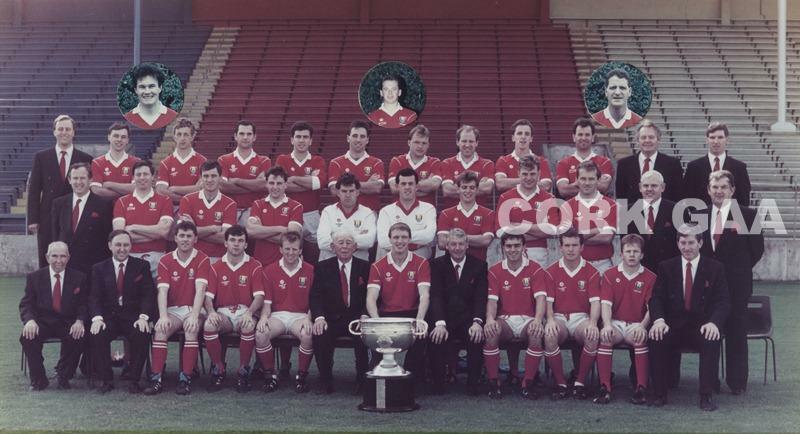 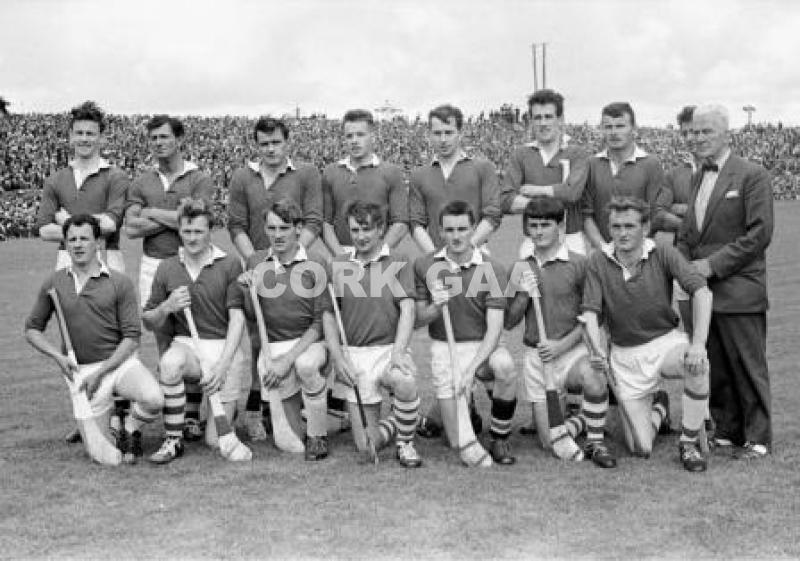 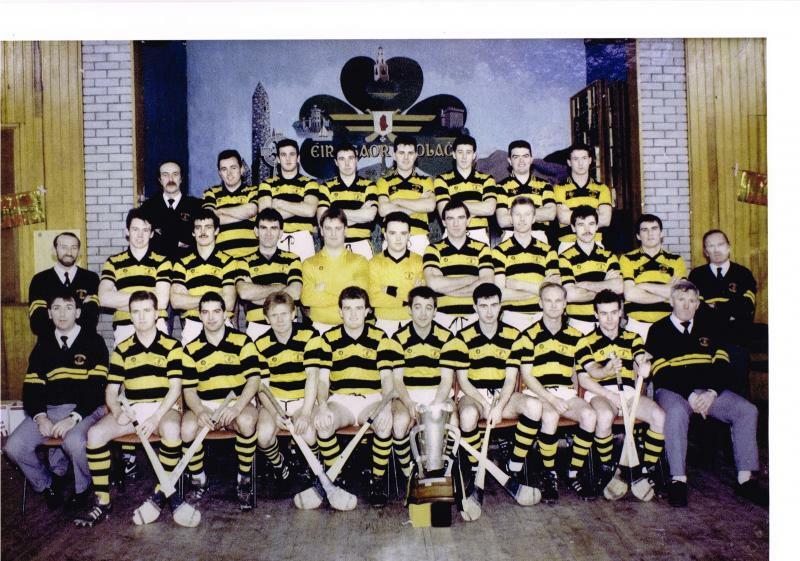 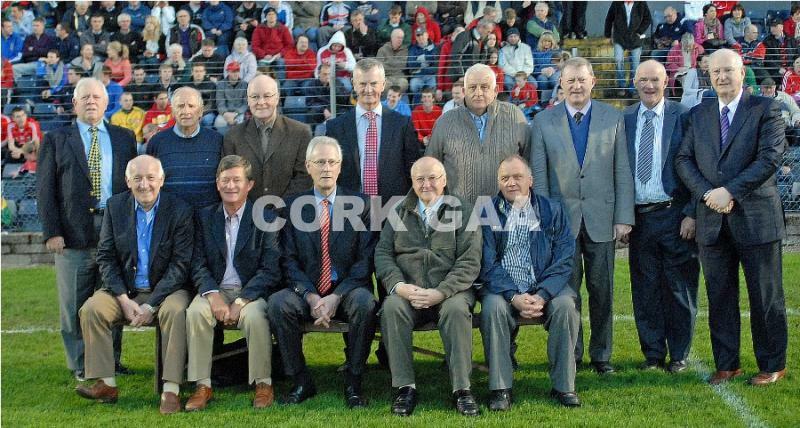 Pic: George Hatchell Back Row L to R: Ger Riordan, Johnny Buckley, Pat Horgan, Liam Martin, Damien Wallace, Dermot Whitley, Joe O' Brien, Christy Ring. 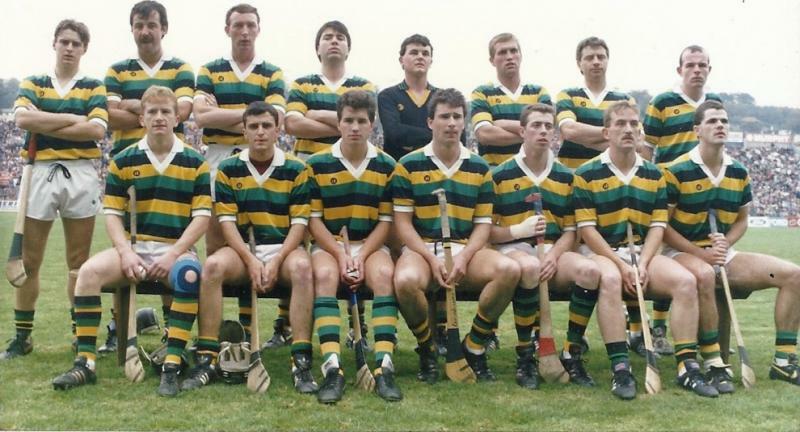 Front Row L to R: Kieran McGuckin, Tony Wall, John Fitgibbon, Tomas Mulcahy (capt) Kieran Fitzgibbon, Christy McGuckin, Kieran Keane. 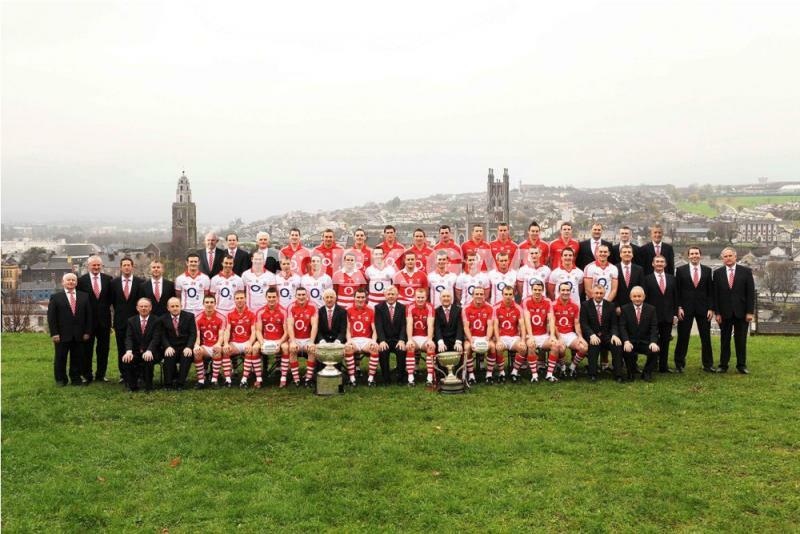 County Final Runners-up. 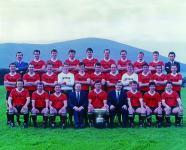 Pic: George Hatchell The Sarsfields team defeated by Glen Rovers in the 1989 Final. 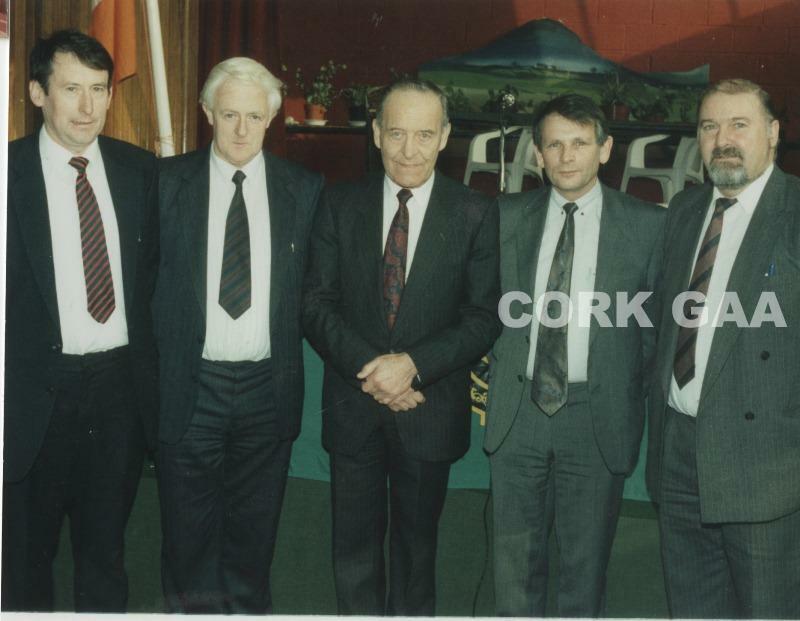 Back L to R: John Power, Brian Lotty Tadhg Murphy, Paul O'Callaghan, Des Murphy, Niall Ahern, Riobaird Lotty. 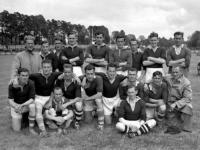 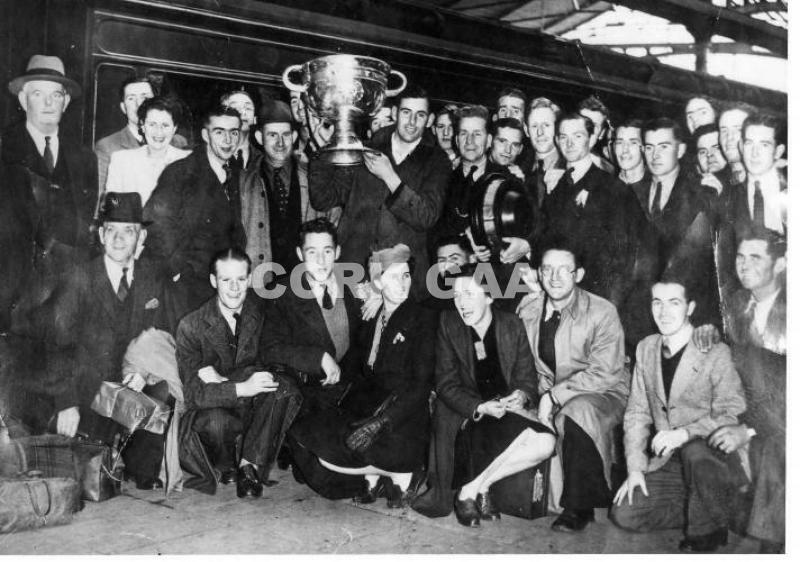 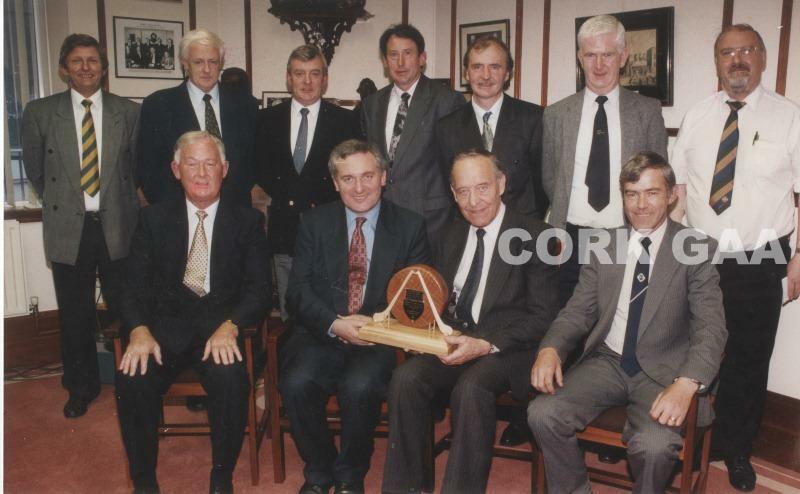 Front L to R. Tim Mc Auliffe, Bertie Og Murphy,John Barry, John Considine, Vincey Barry, Pat Smith, Declan Kenneally, Teddy Mc Carthy. 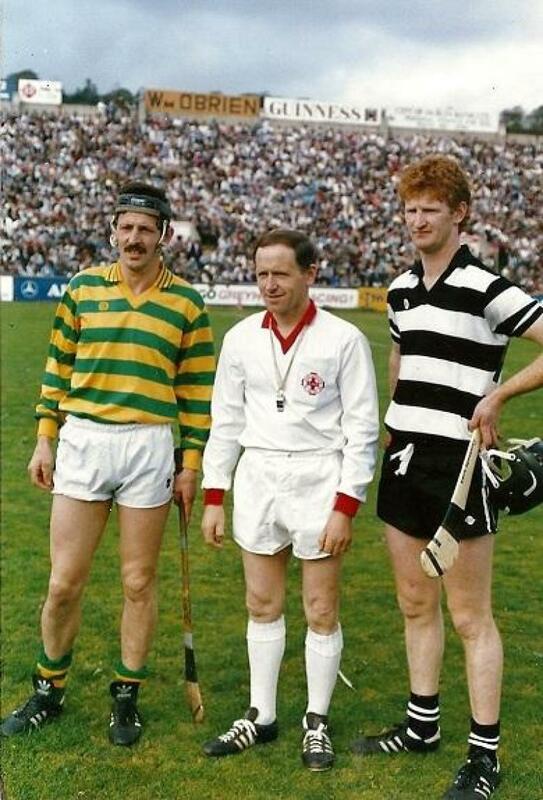 Andy Creagh Blackrock, Referee Mick Keane Cloughduv, & Kevin Hennessey Midleton prior to the 1986 Co S H Final in Pairc Ui Chaoimh. 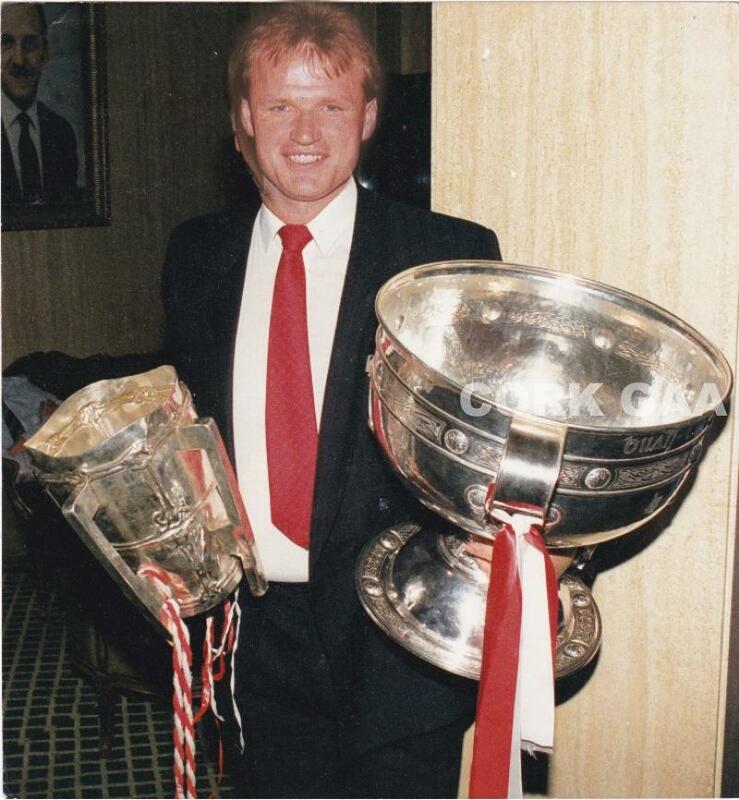 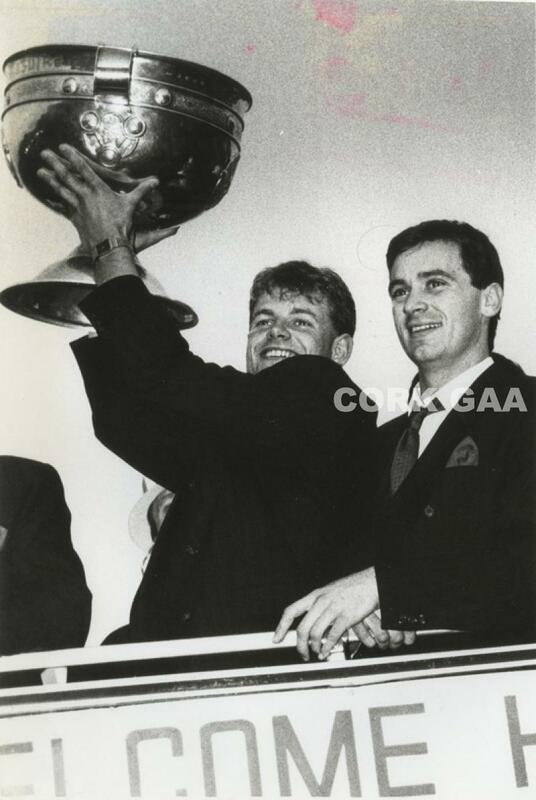 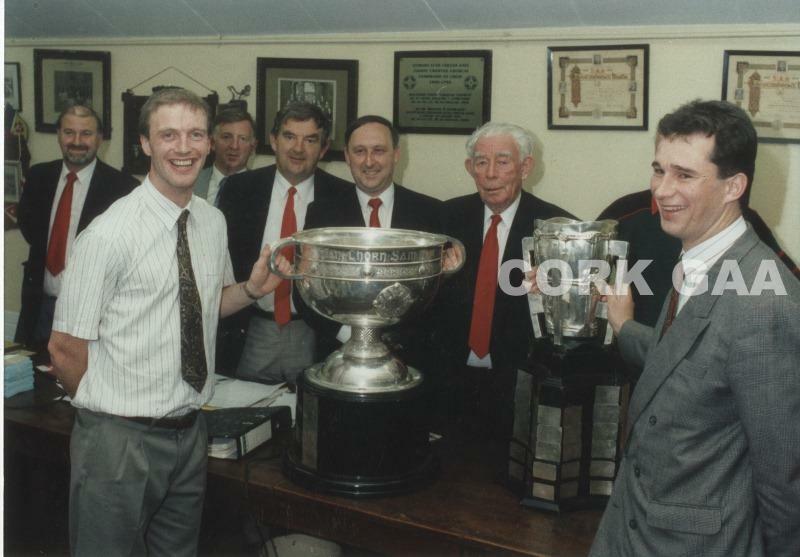 Teddy McCarthy with both Cups in 1990. 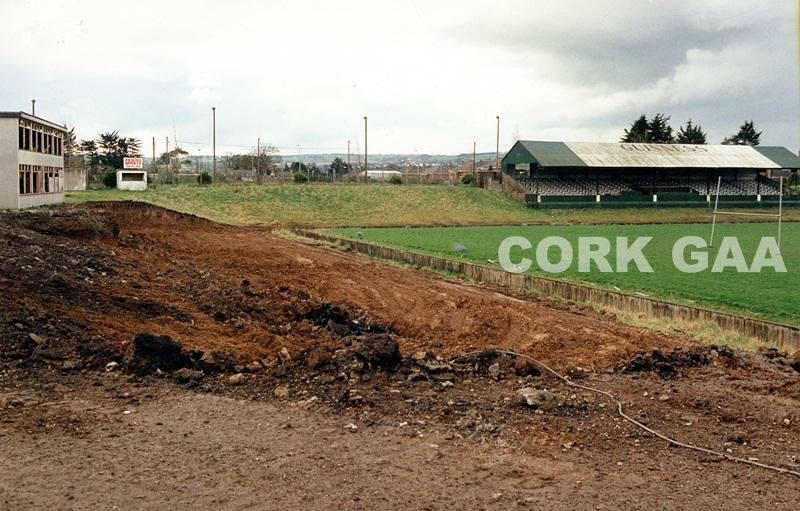 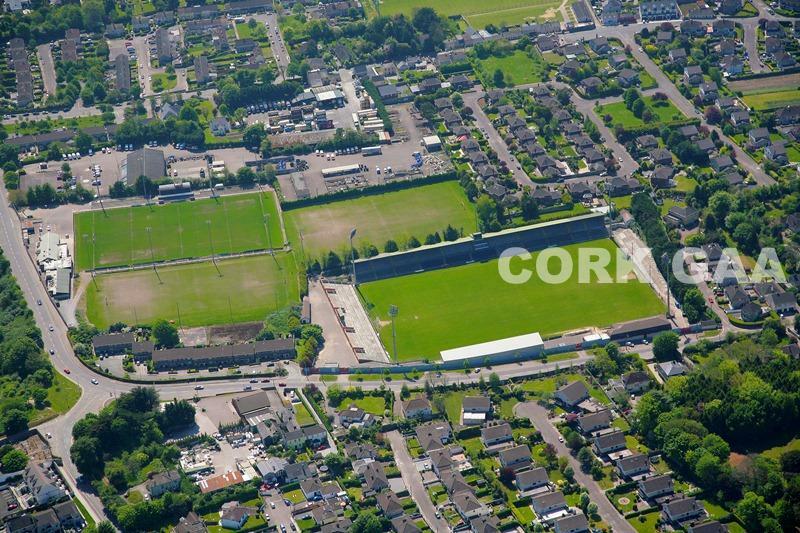 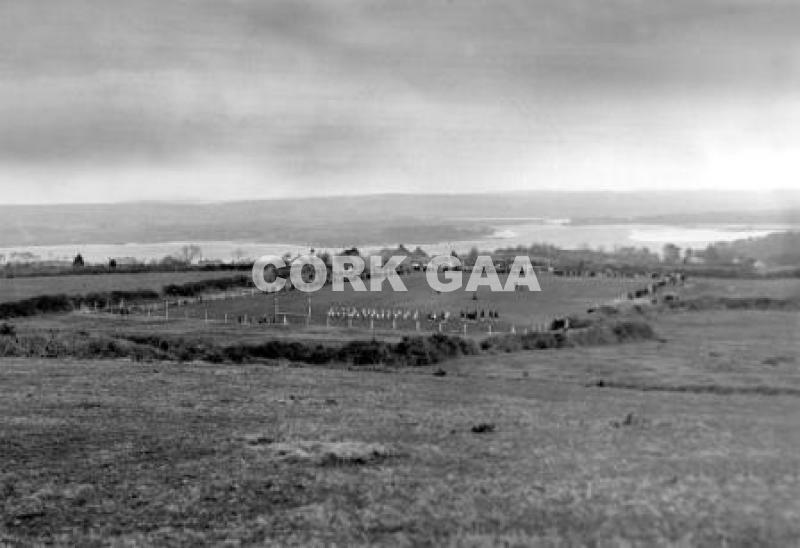 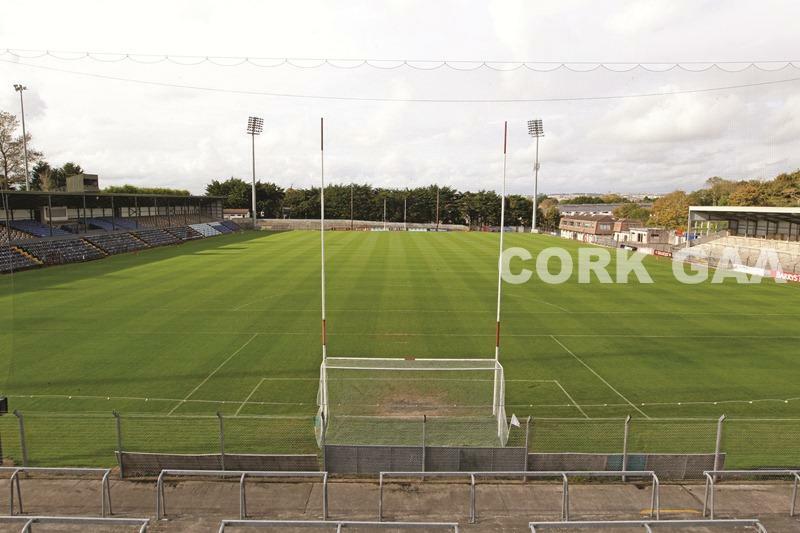 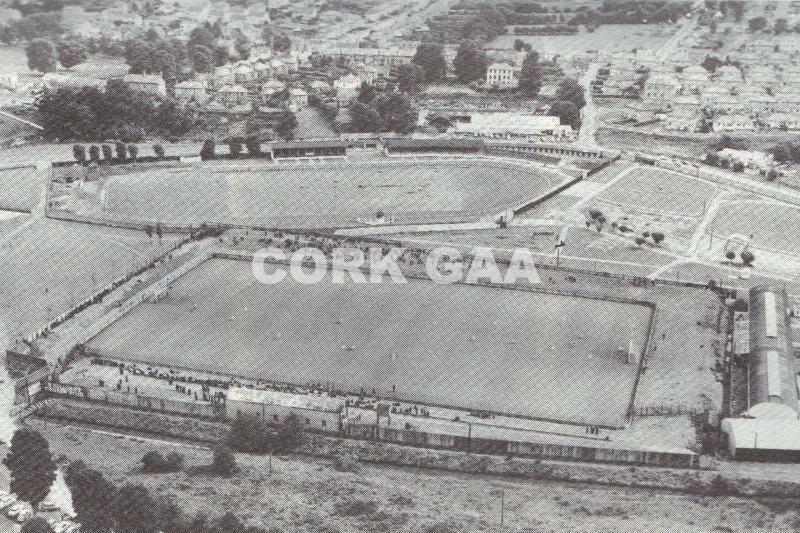 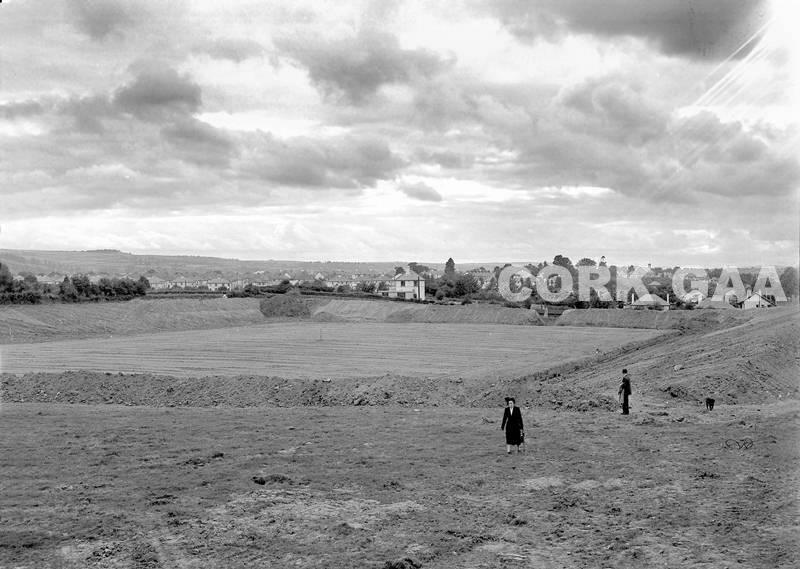 Flower Lodge puchased by Cork County Board, under re construction in 1991 later re named Pairc Ui Rinn, after the late Christy Ring. 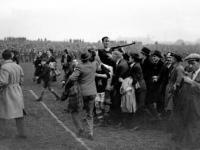 It's only a game ! 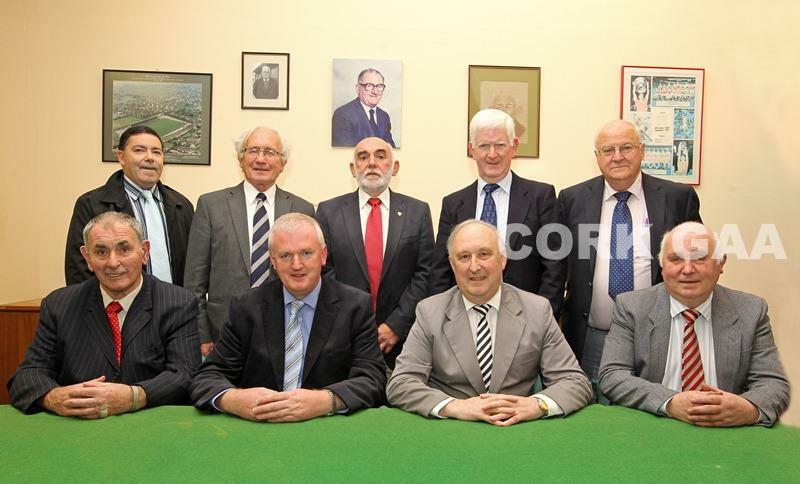 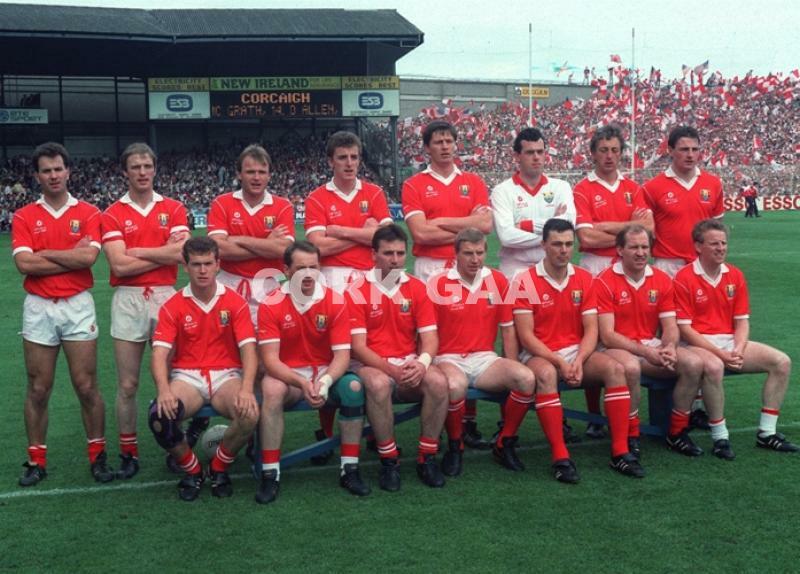 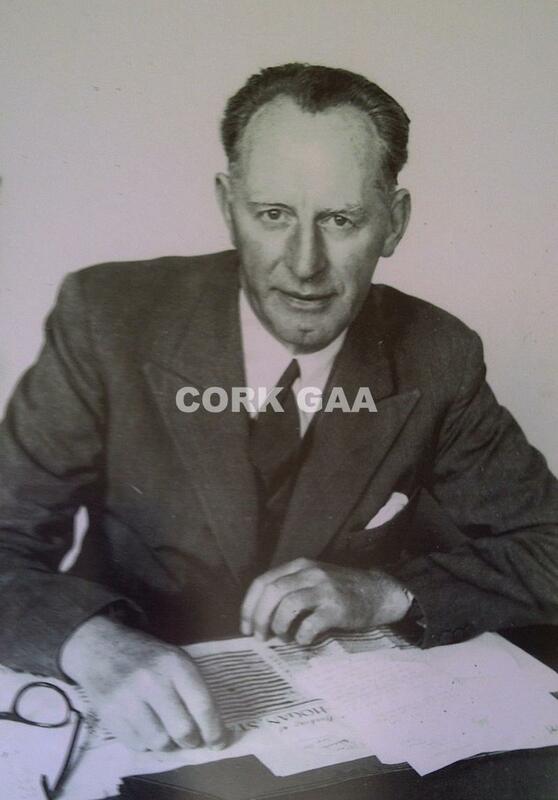 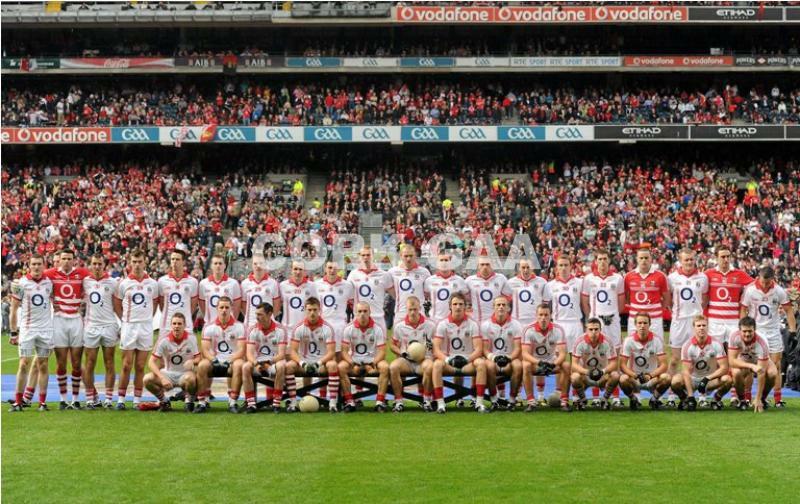 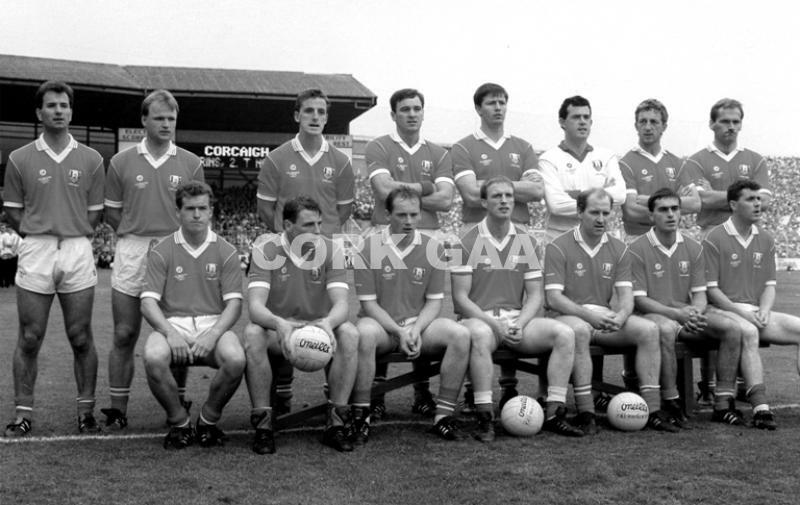 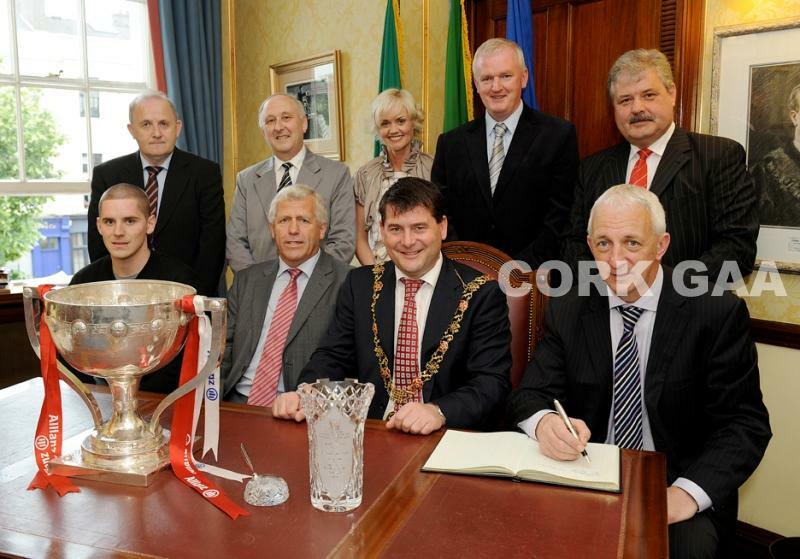 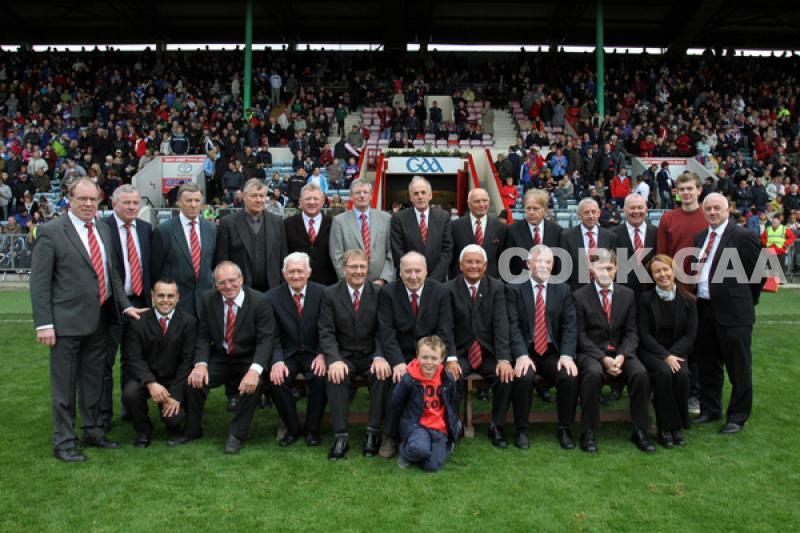 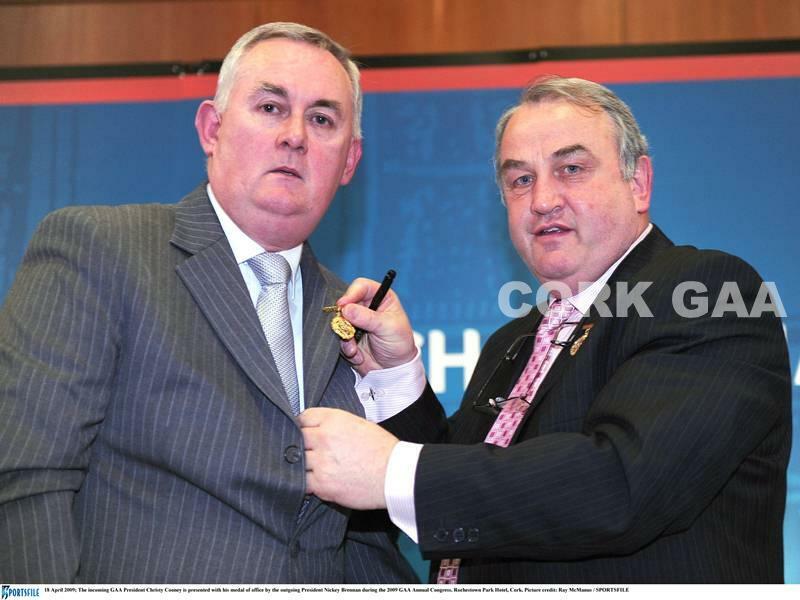 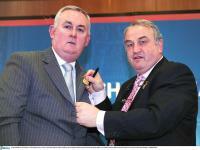 County Board History Committe who published "A History of Cork GAA 1987 to 2011". 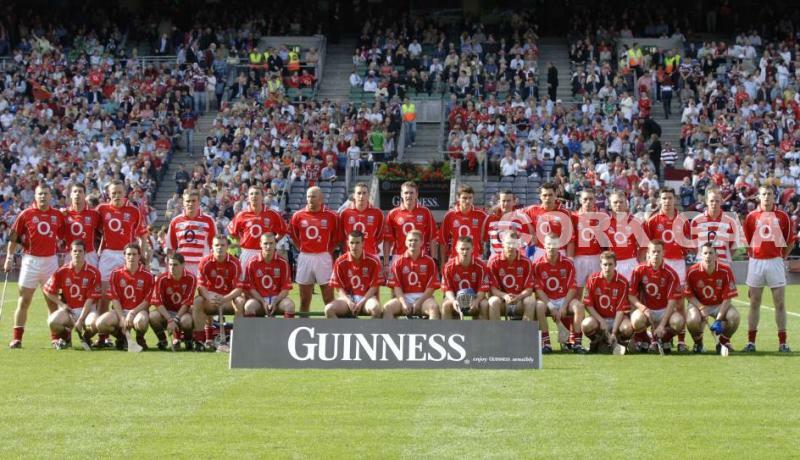 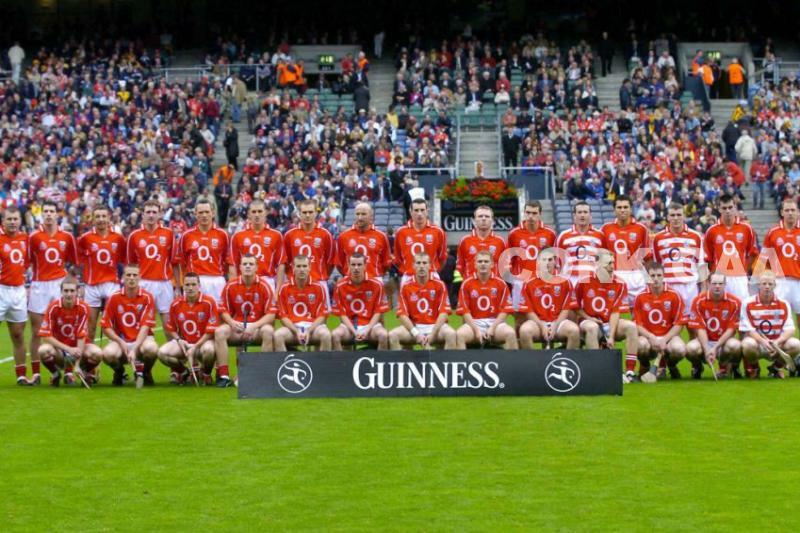 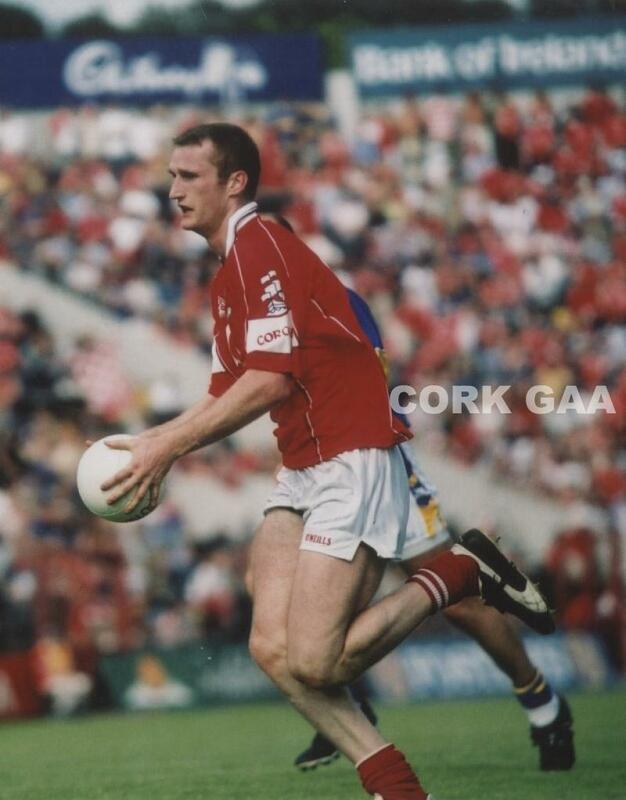 Carrigalines Nicholas Murphy a Cork All Star in 2006..Nicholas has made more appearances for Cork in League & Championship than any other player in Corks Football history. 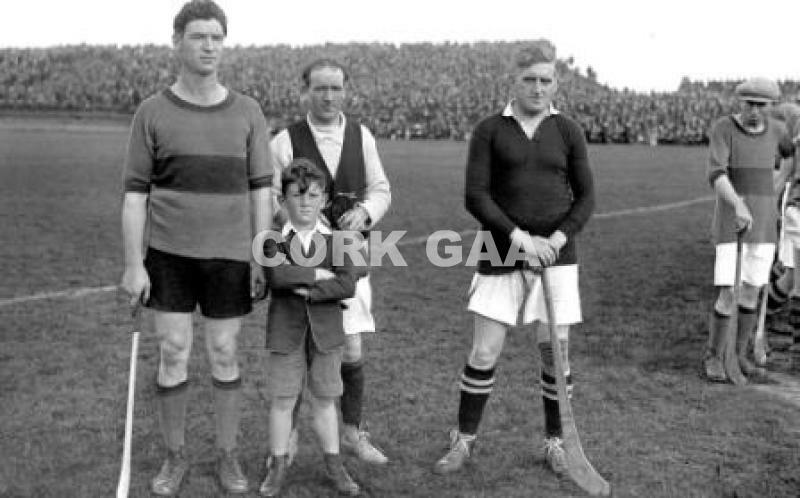 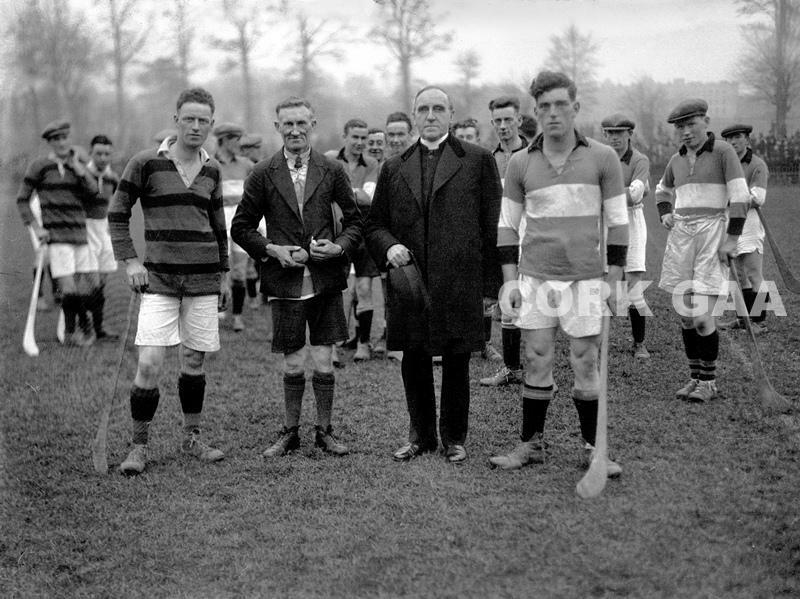 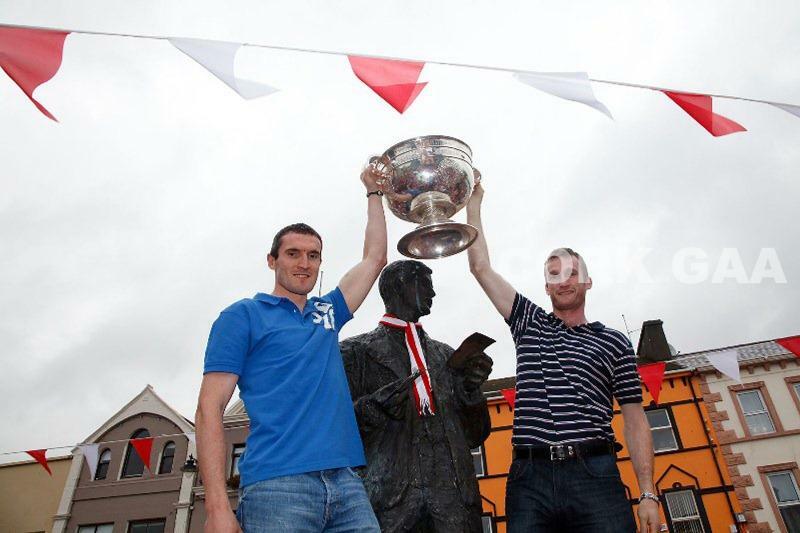 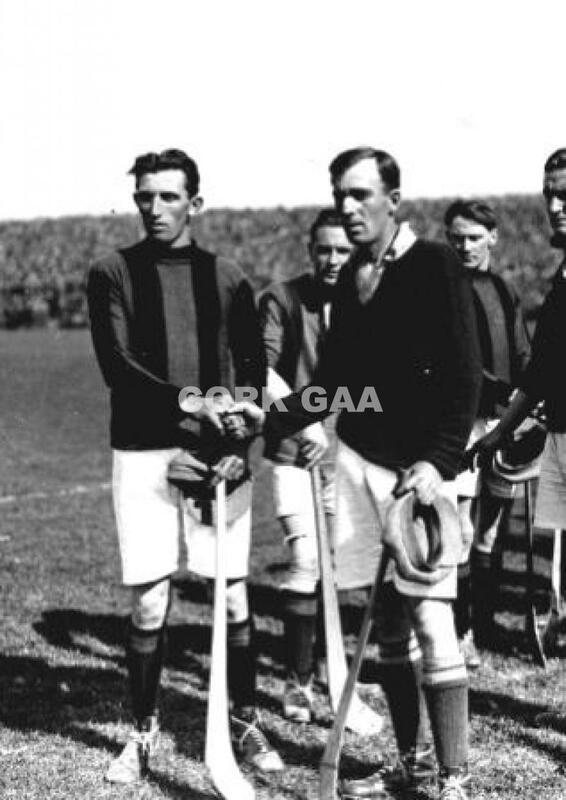 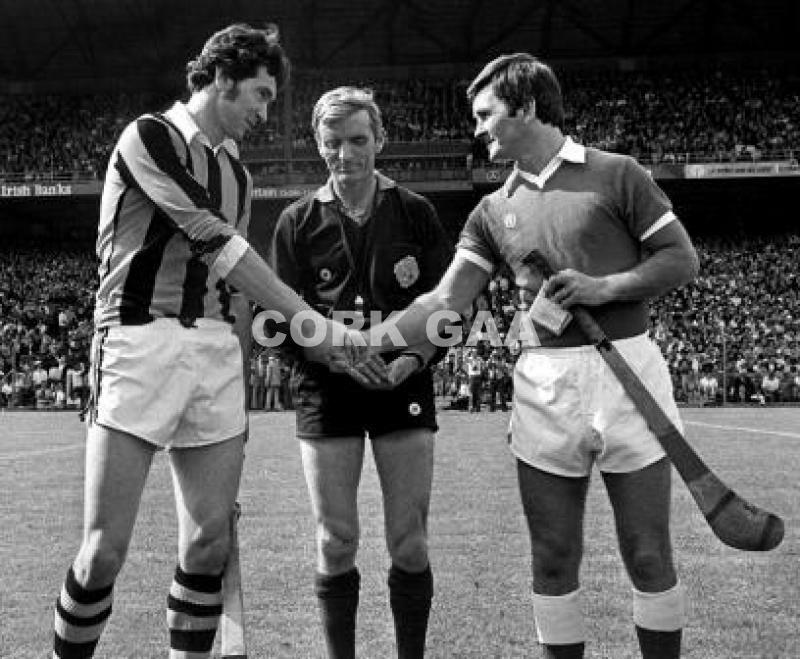 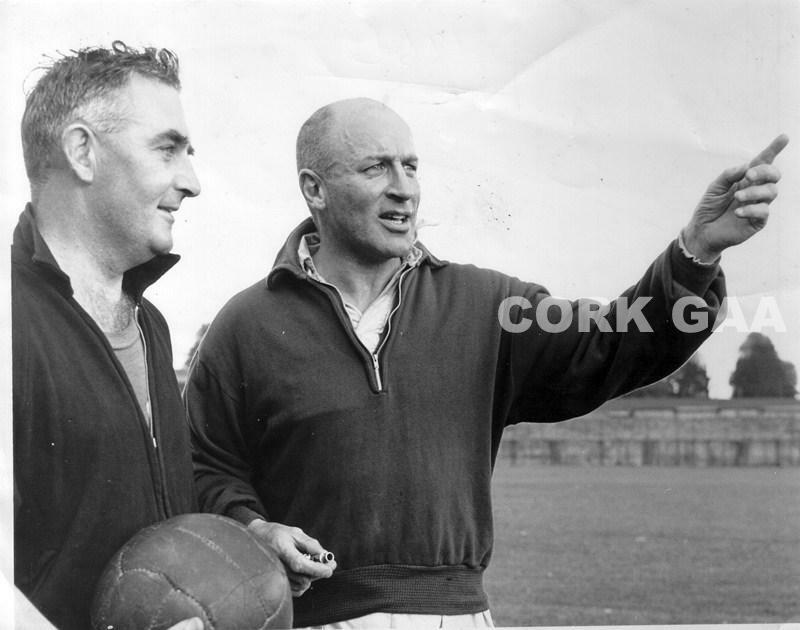 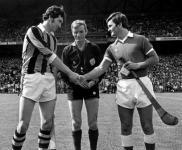 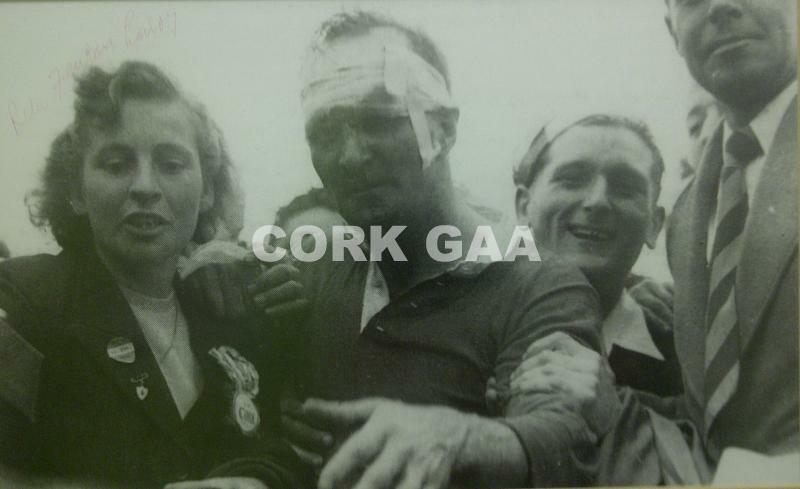 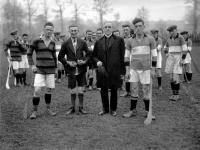 Eudie Coughlan Cork and Lory Meagher Kilkenny. 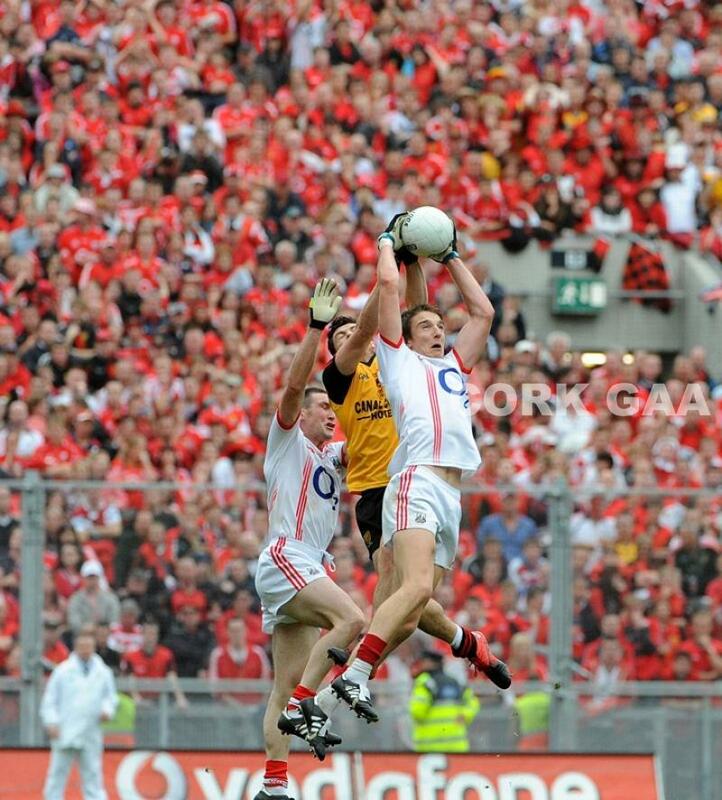 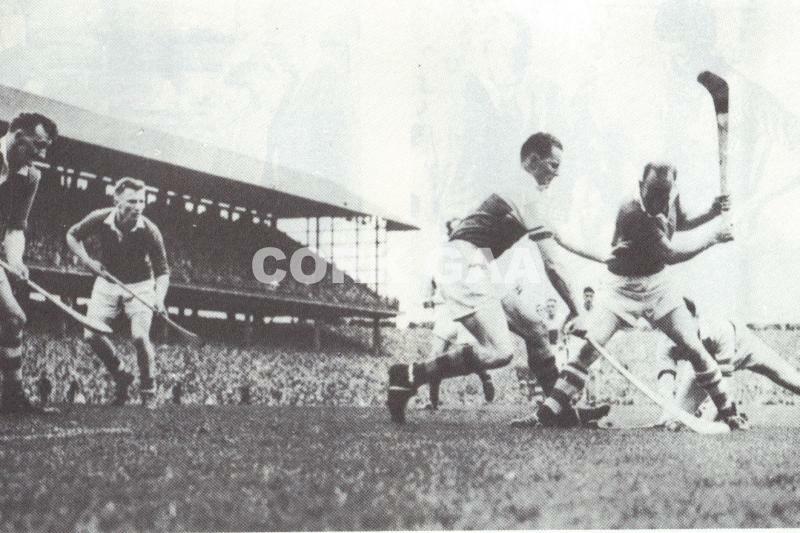 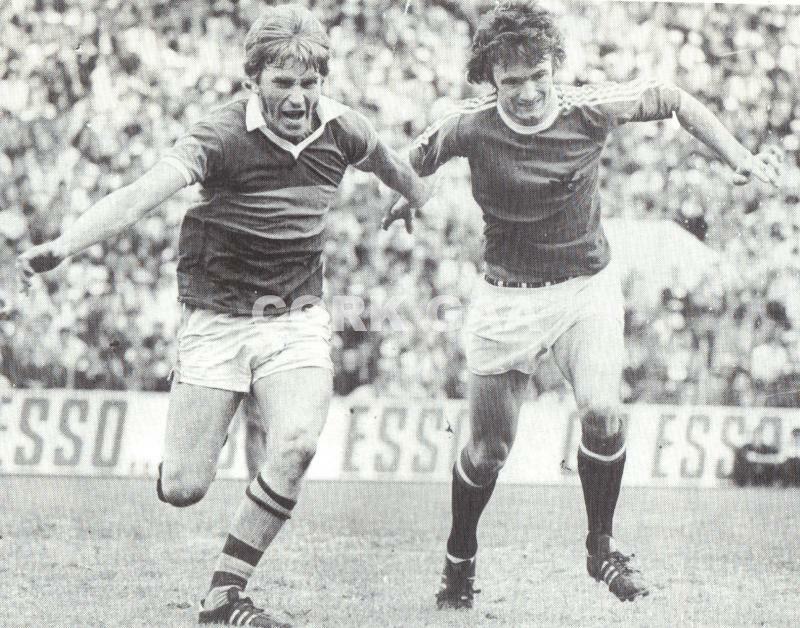 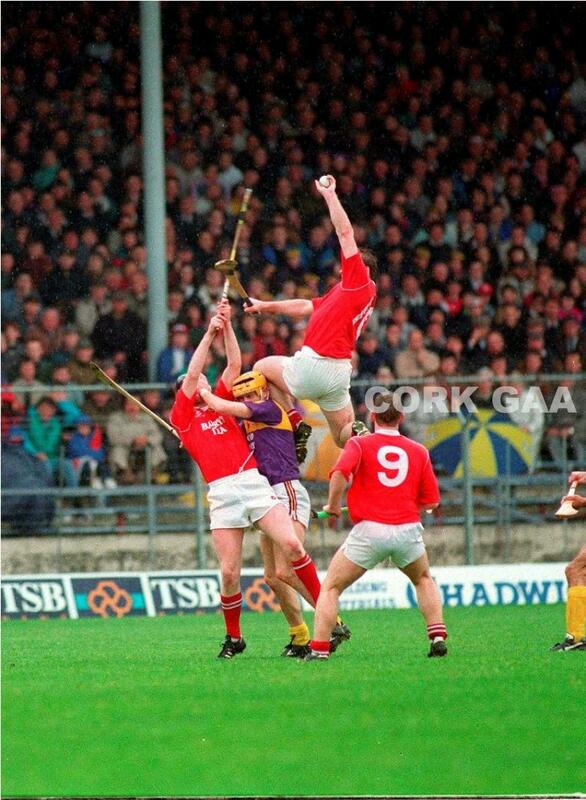 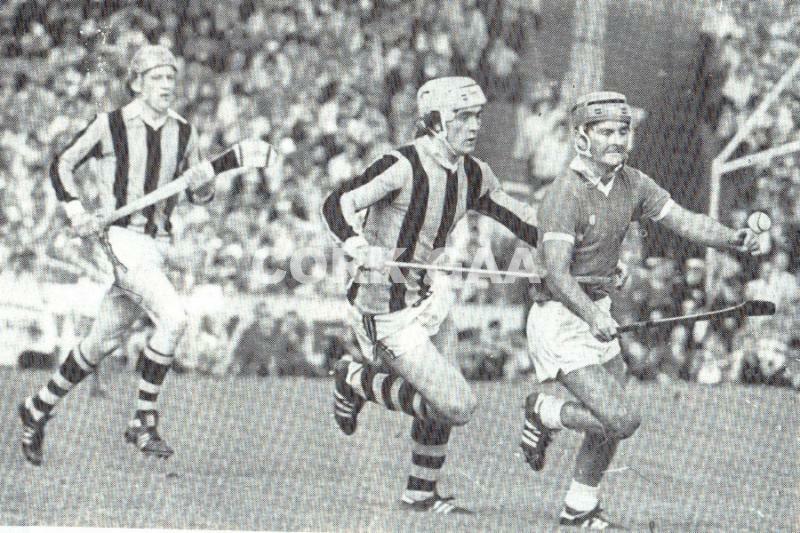 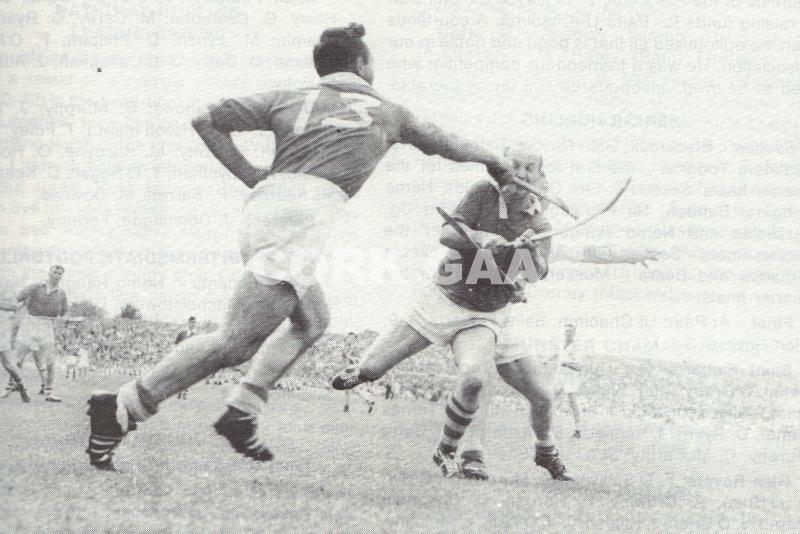 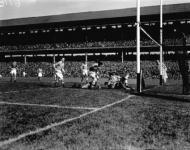 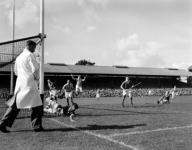 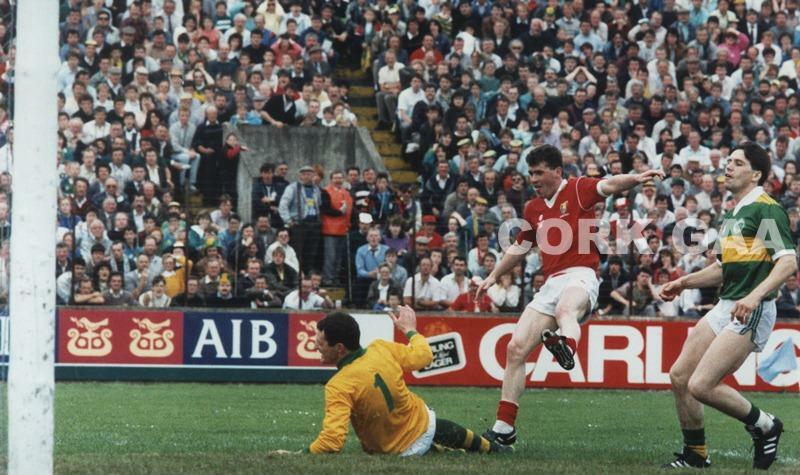 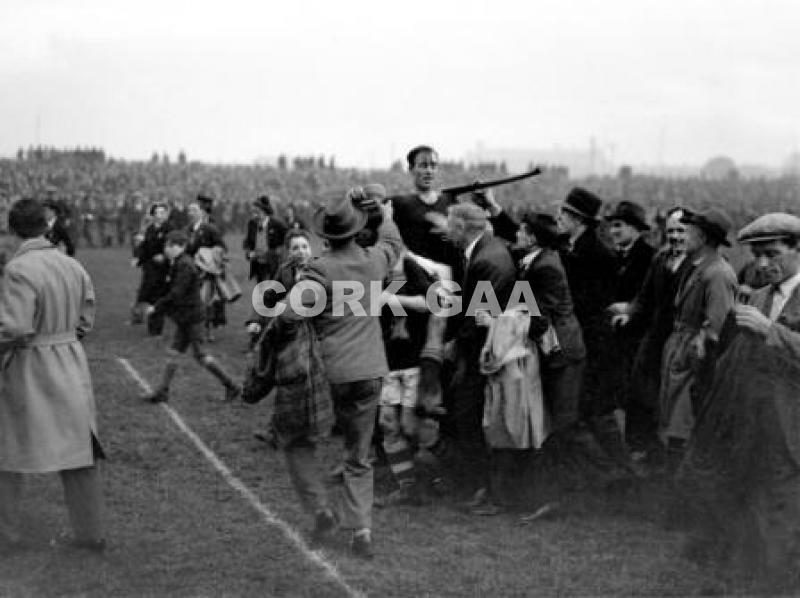 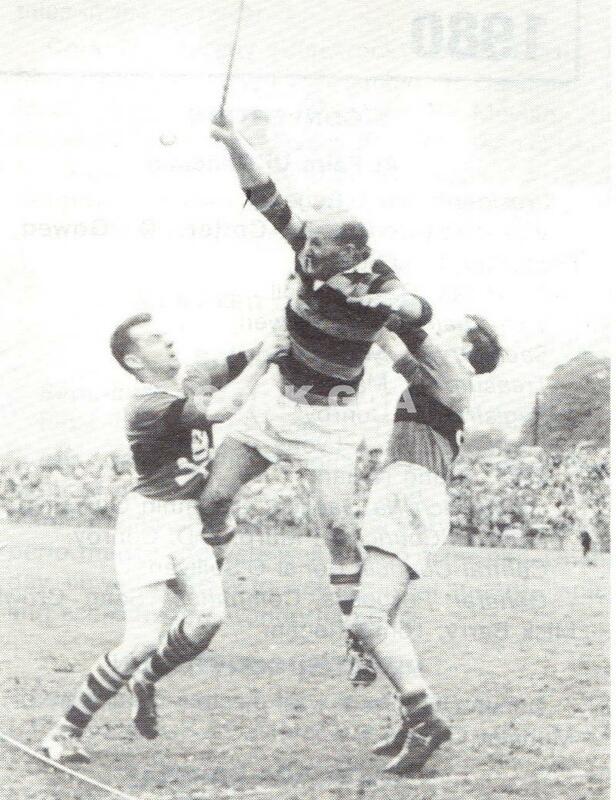 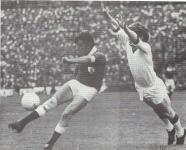 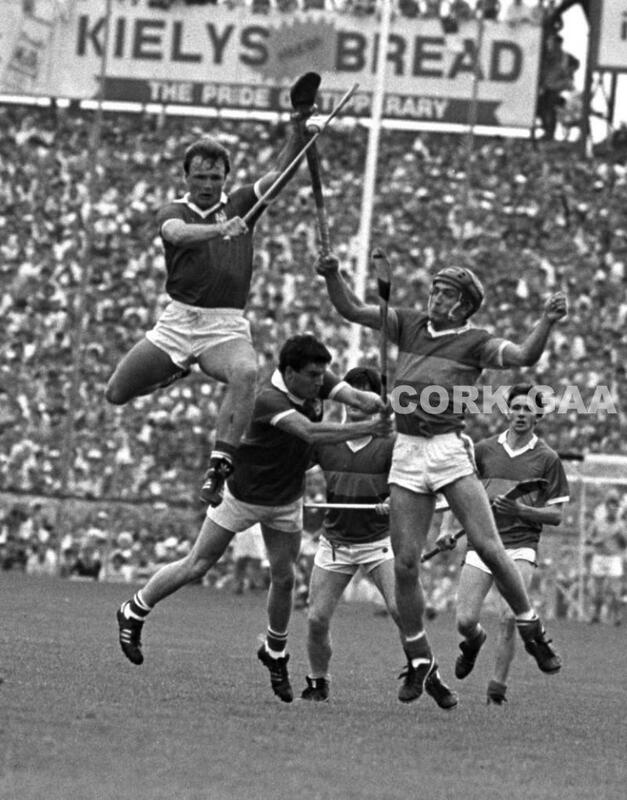 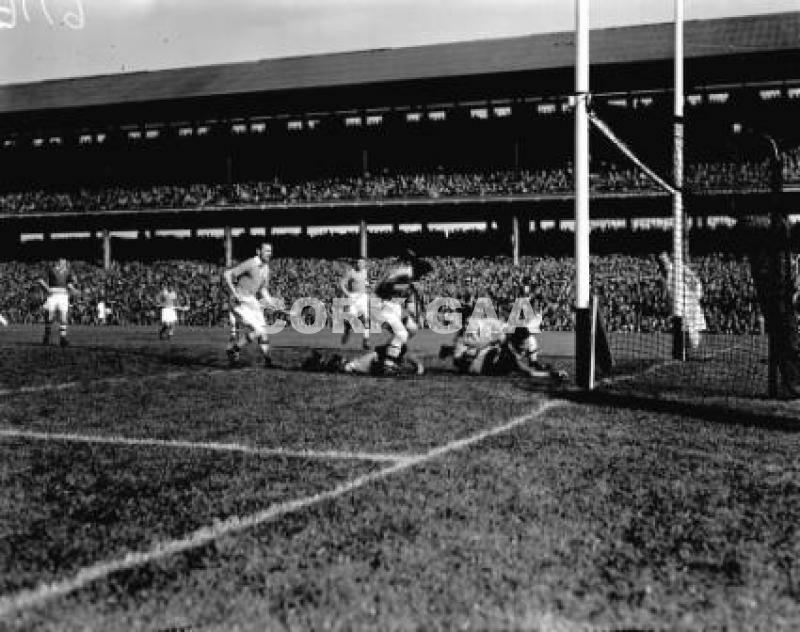 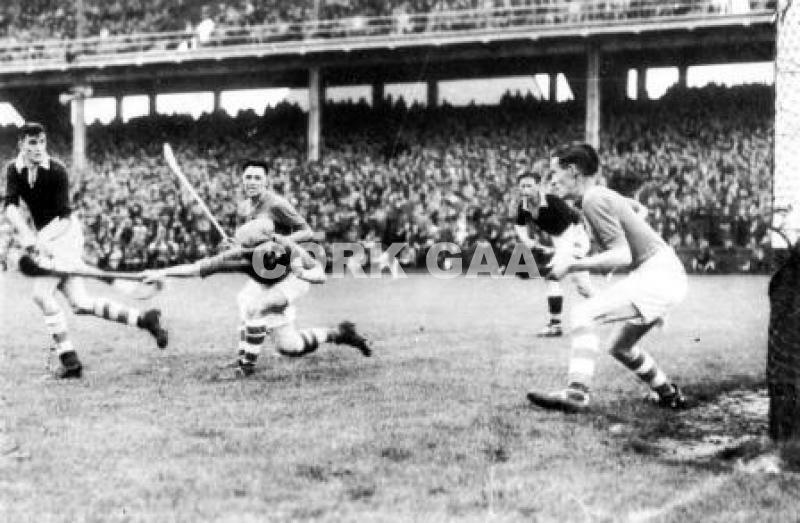 The Late Mick McCarthy O Donovan Rossa puts one past Charlie Nelligan in the Munster Final. 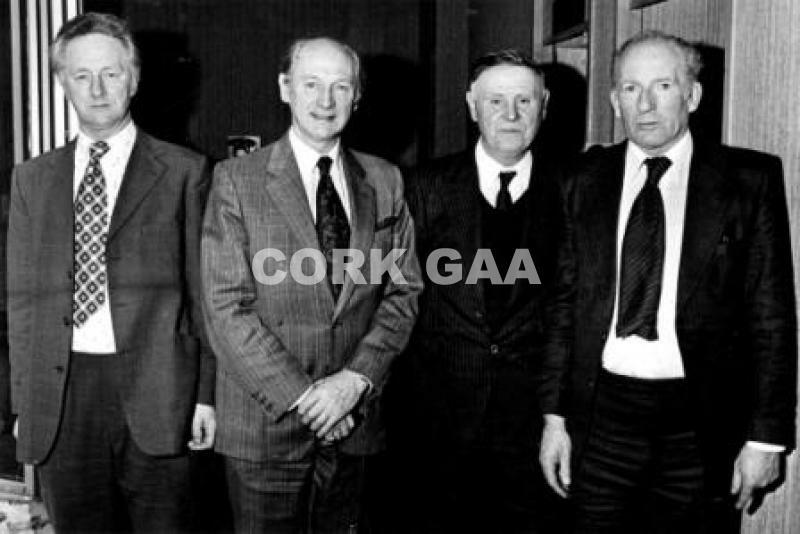 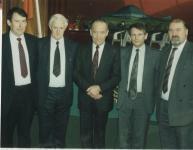 First Officers of the Minor Board in 1990 L to R.. Tom Dorgan Vice Chairman, Jim Healy Sec, Con Murphy Chairman, John Motherway Treasurer, Brendan Larkin PRO. 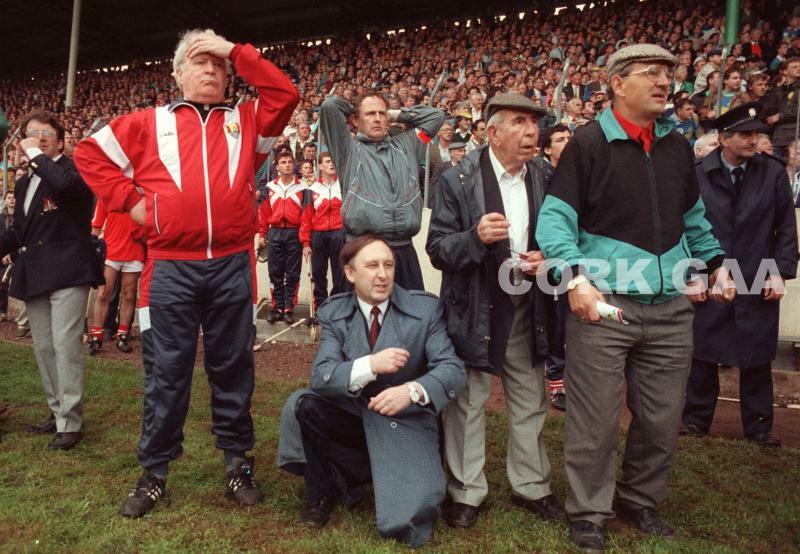 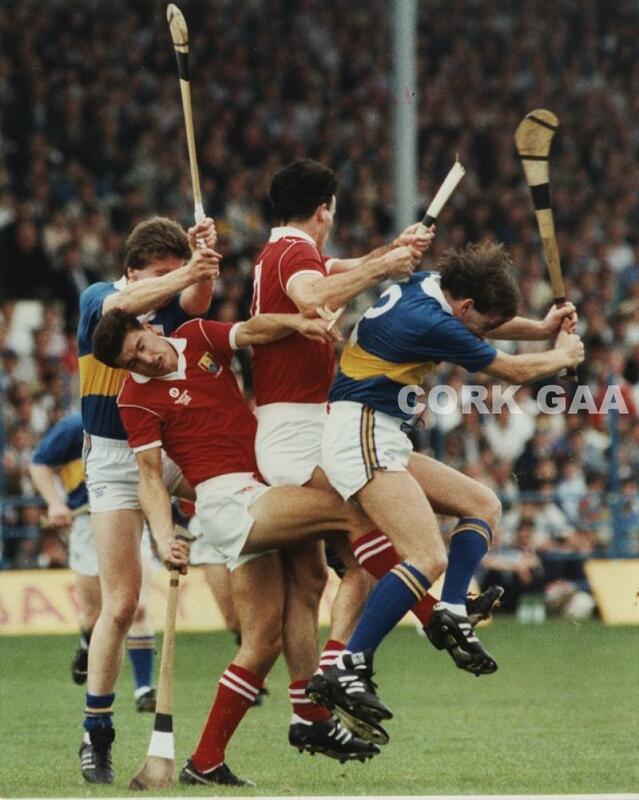 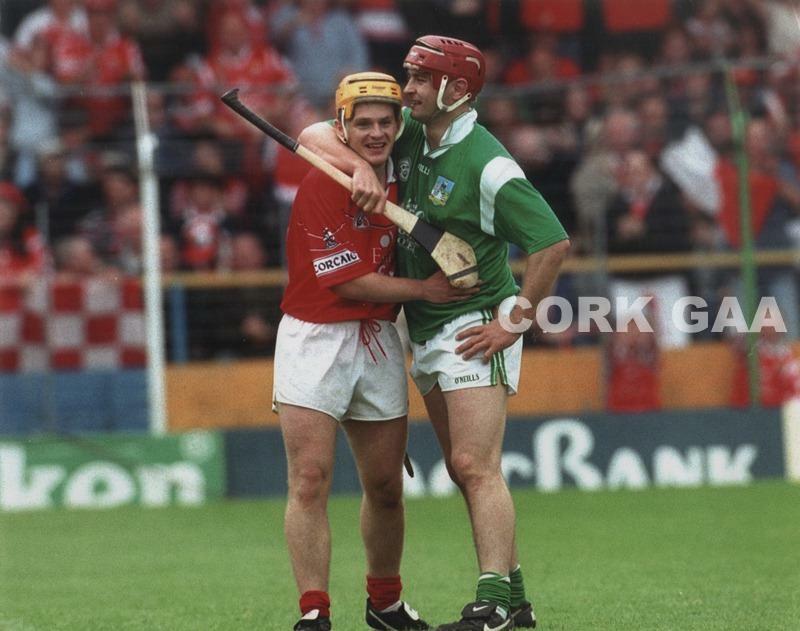 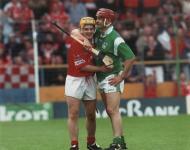 Munster Final 1990 Mark Foley and John Fitzgibbon in the thick of the action. 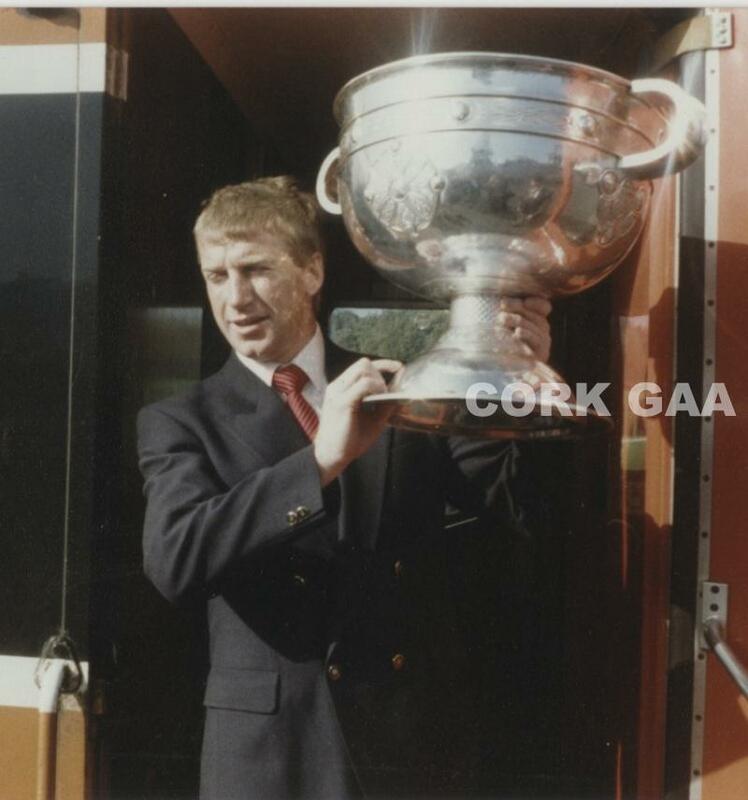 The Double is done and Sam coming around Paddy Barrys Corner Sept 1990, to be greeted by what was estimated at 50,000 people. 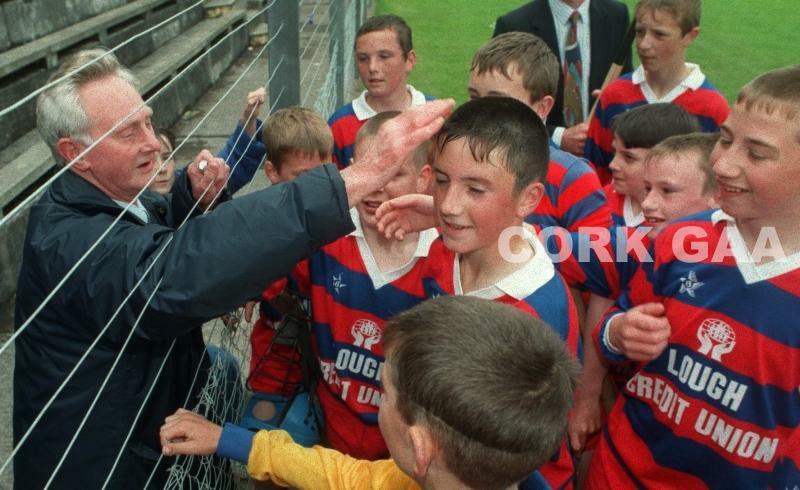 Sean Condon with Greenmount NS at Sciath na Scol in 1997 Seán played for St. Finbarr's and holds the distinction of being one of only a handful of players to captain his county to All-Ireland titles in both minor and senior. 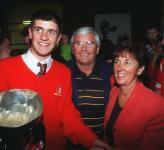 Cathal McCarthy 1998 All Irl Minor Hurling Captain, pictured with his Father Charlie and his mother at the Homecoming. 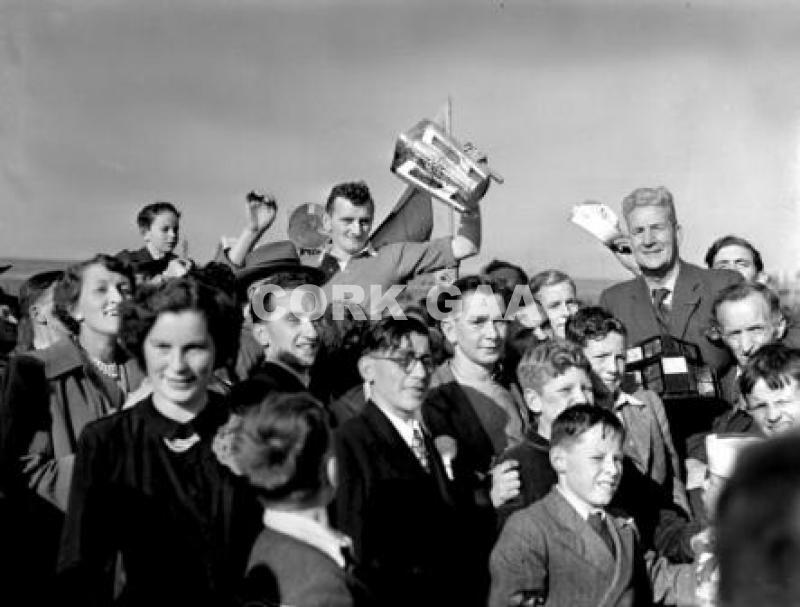 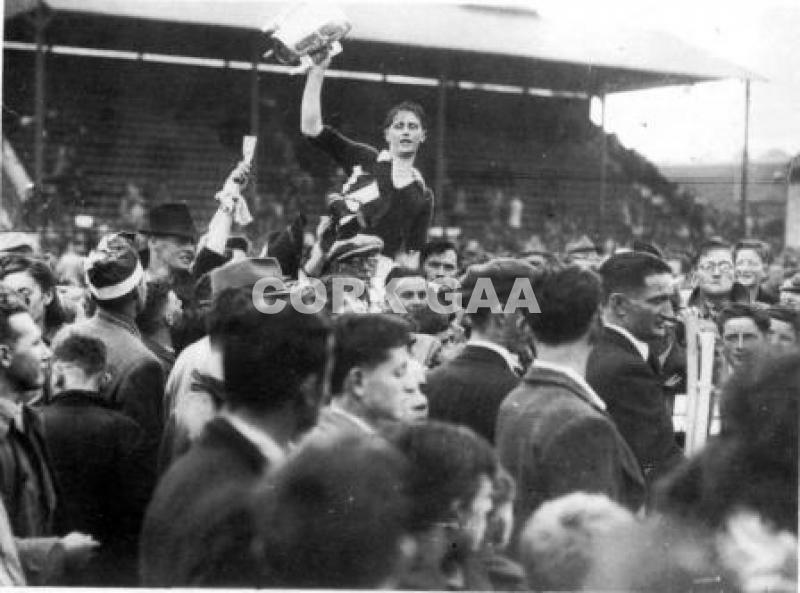 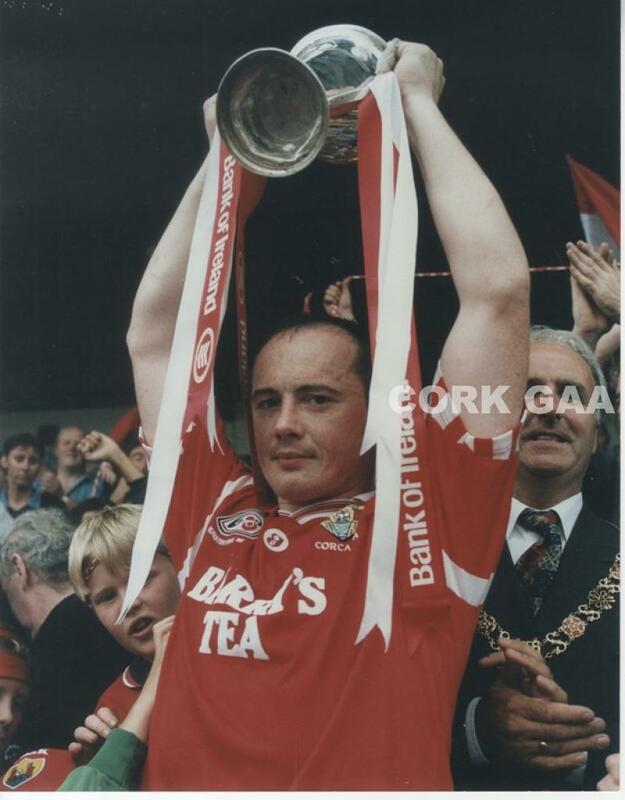 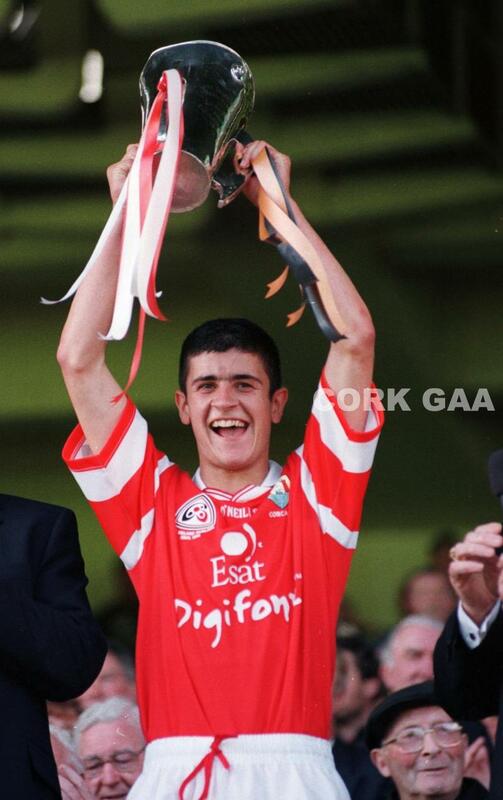 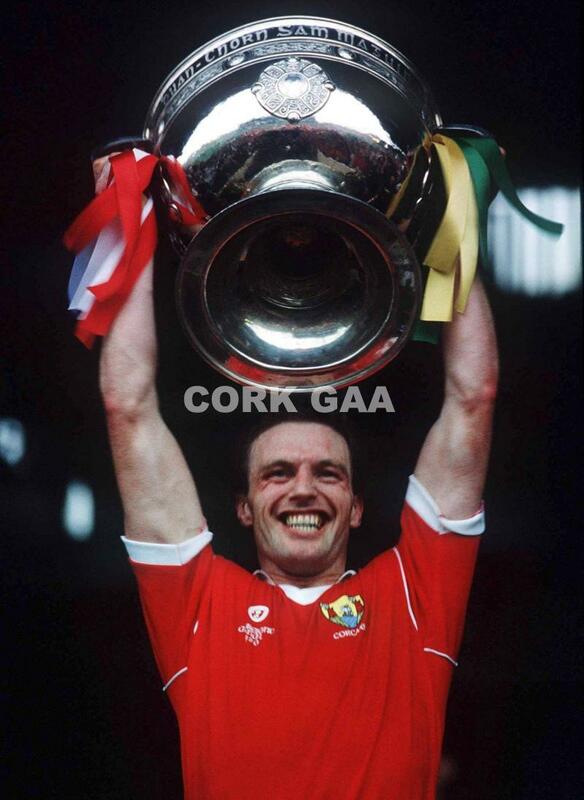 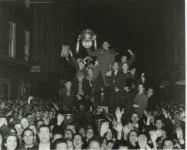 Cathal McCarthy, Cork Minor Hurling Captain 1998, lifts the All-Ireland Cup.